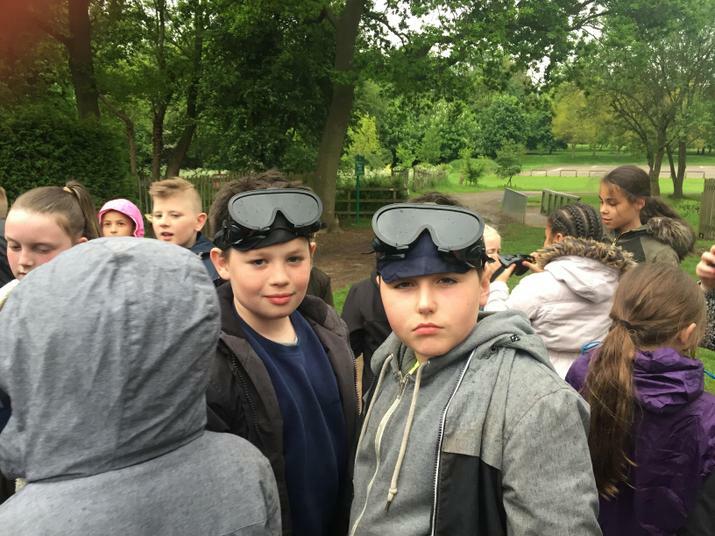 Today marked the end of the Beaumanor residential. 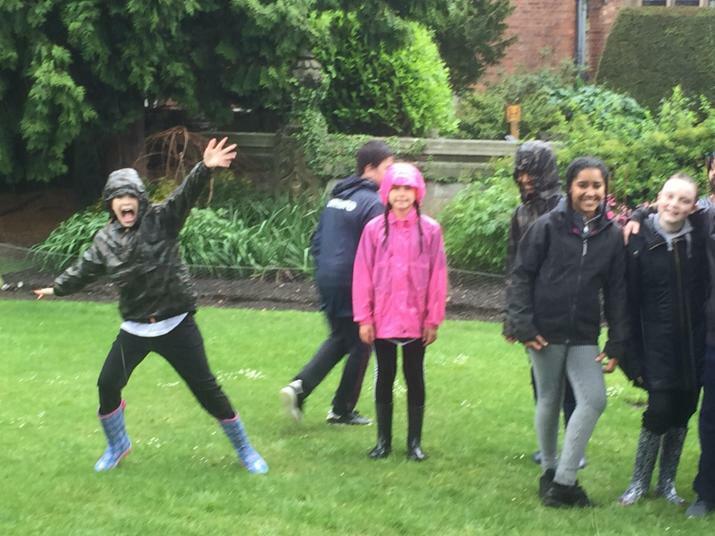 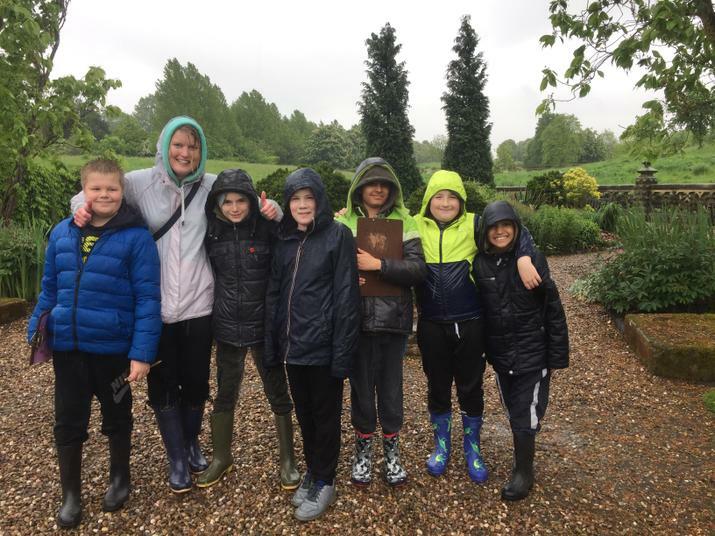 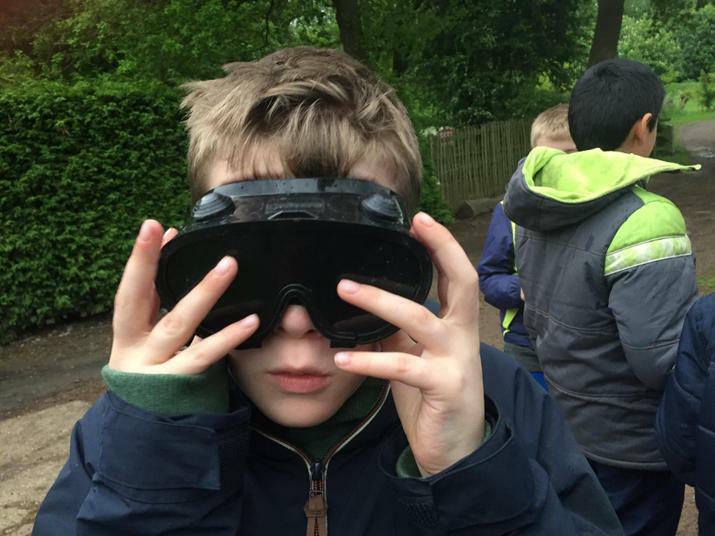 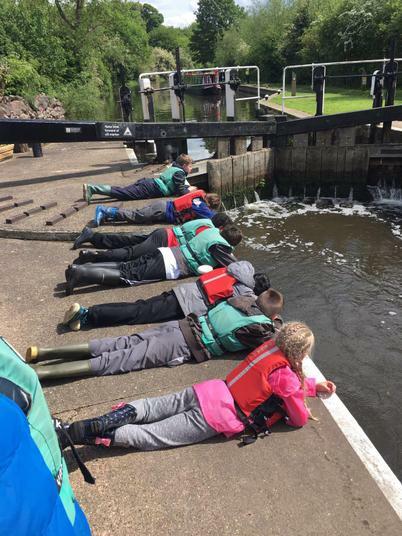 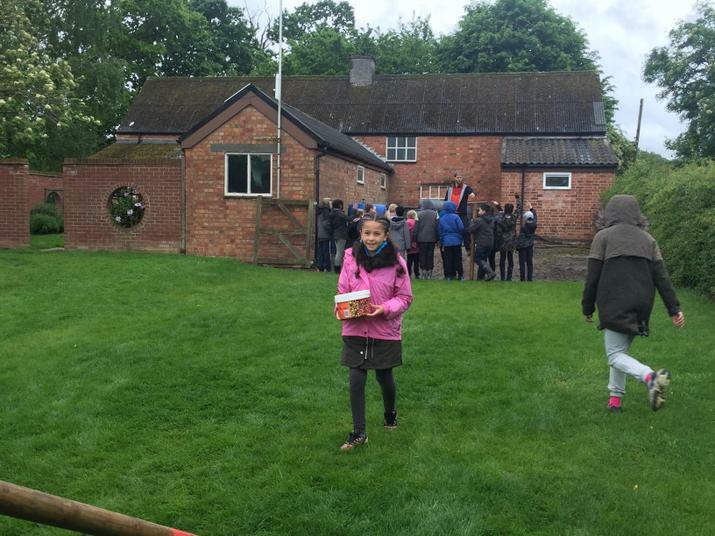 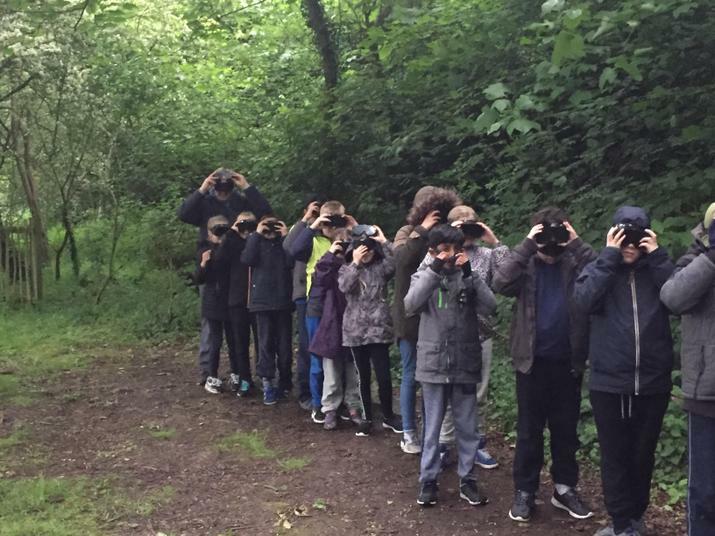 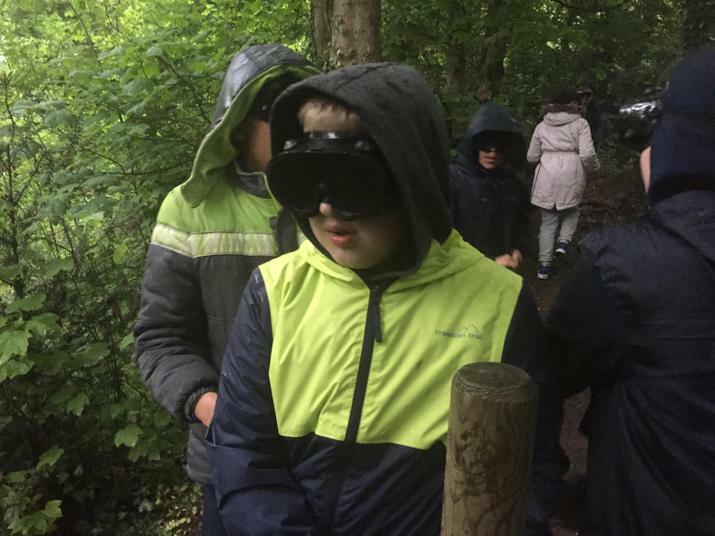 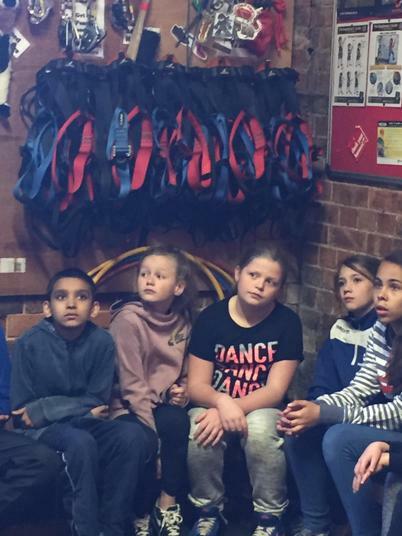 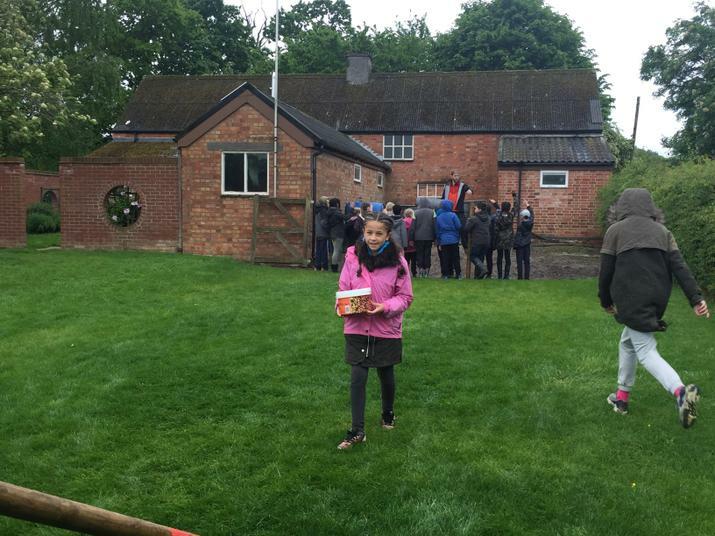 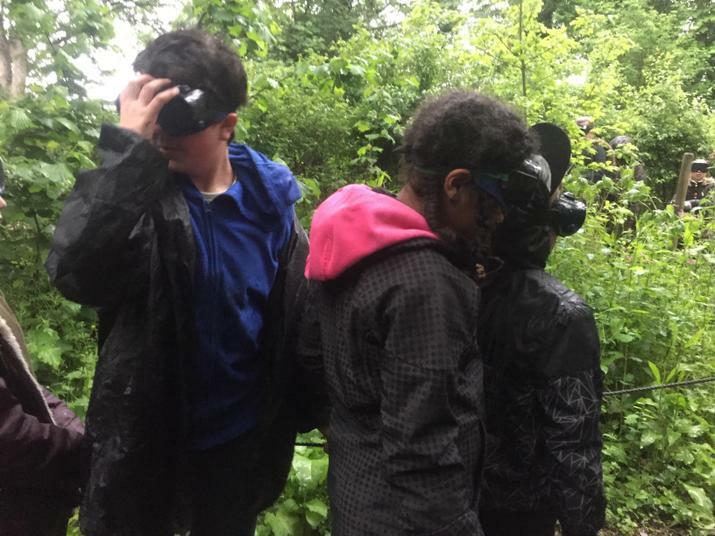 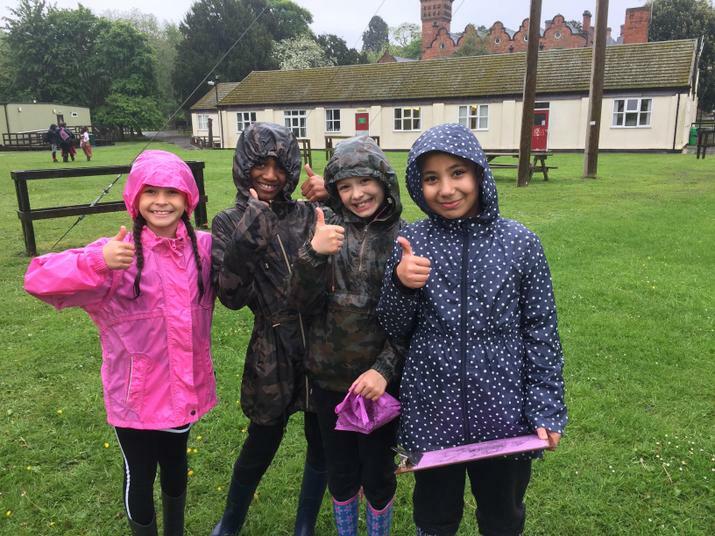 I'd just like to quickly say a massive 'well done' to all of the children on the trip - we had horrible weather for two of the days but you persevered and kept going! 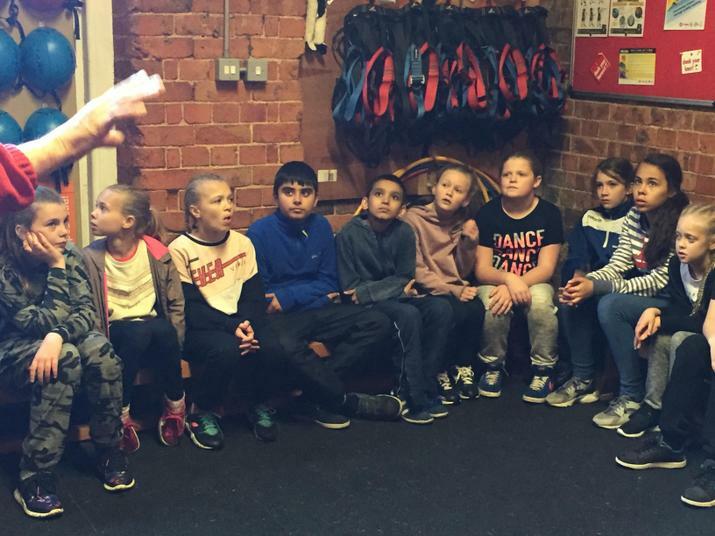 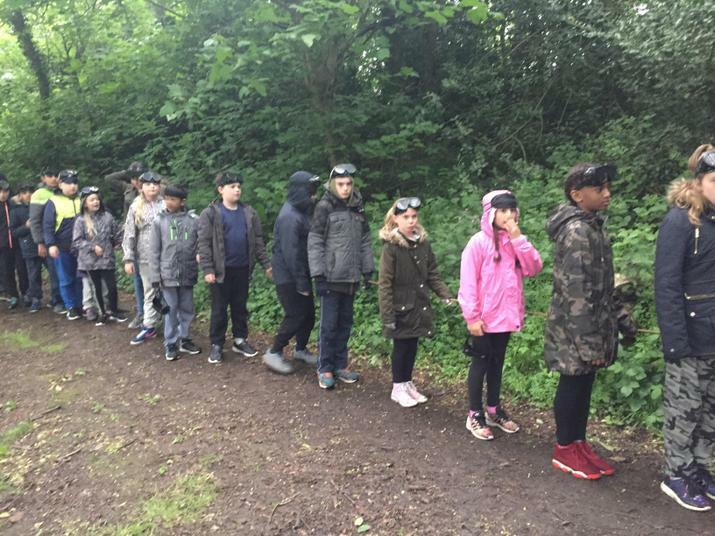 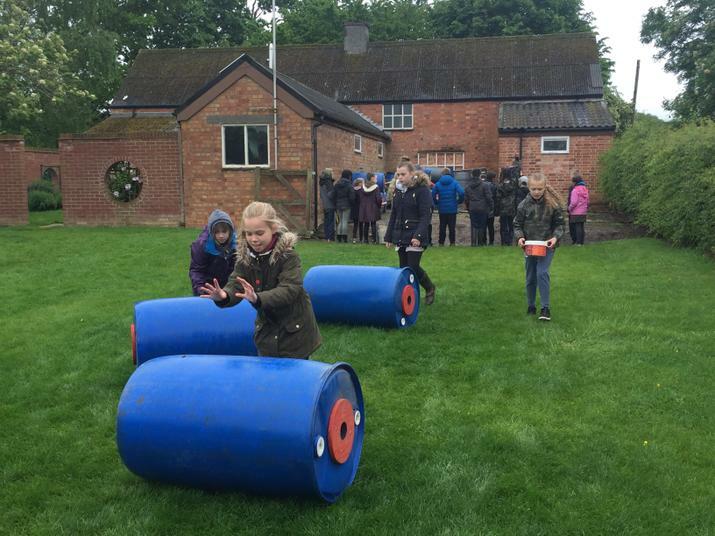 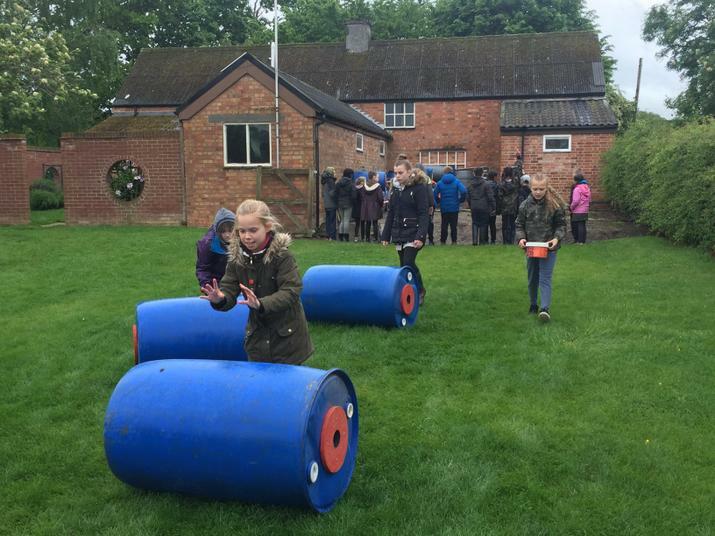 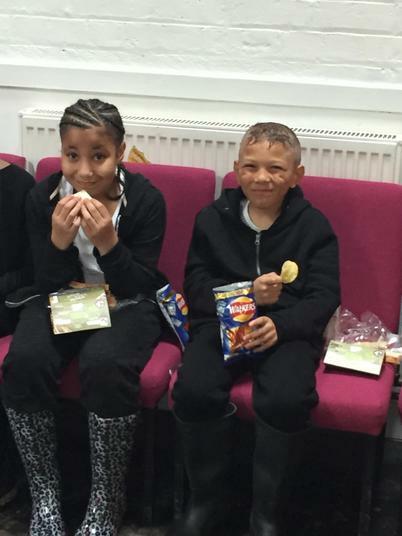 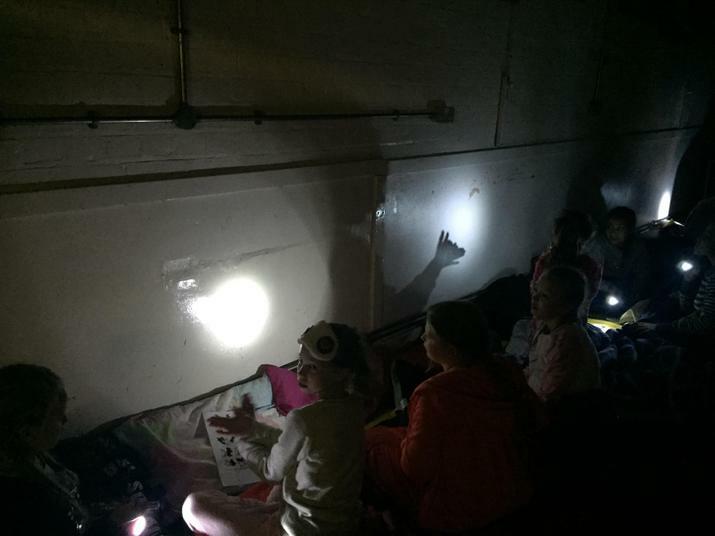 All of the children slept much better during the final night, meaning they had more energy for the final activity of 'Land Buggies'. 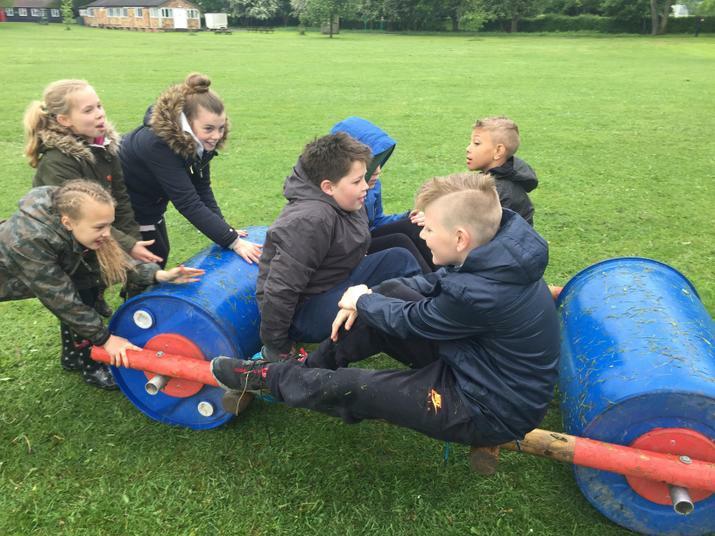 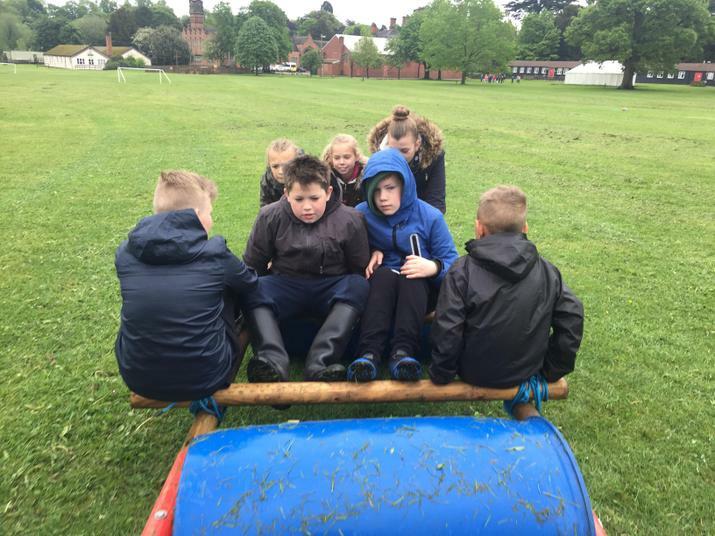 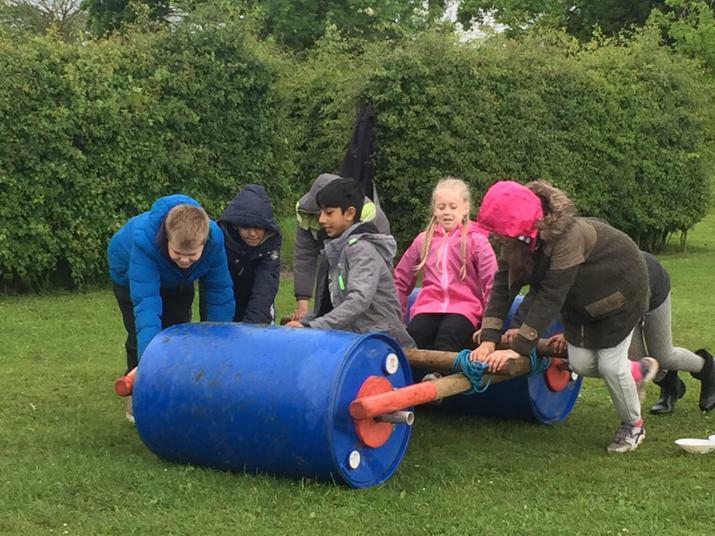 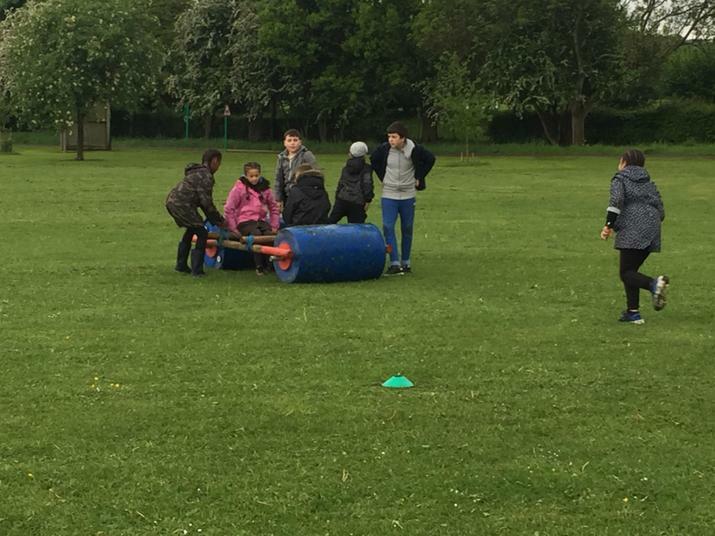 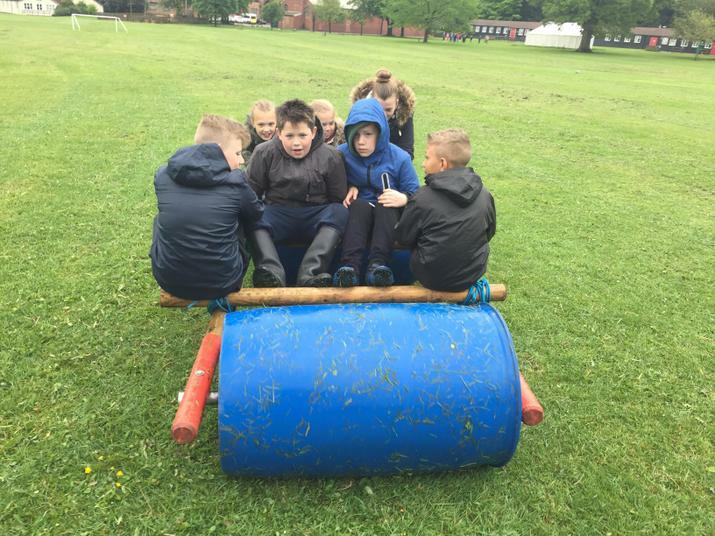 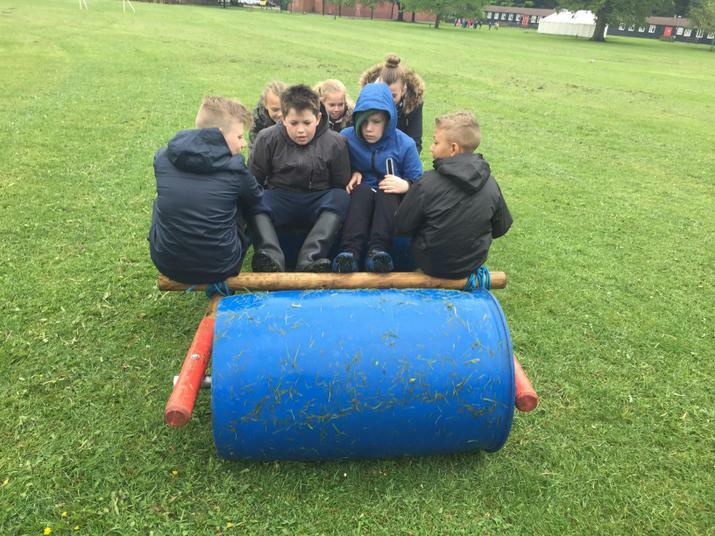 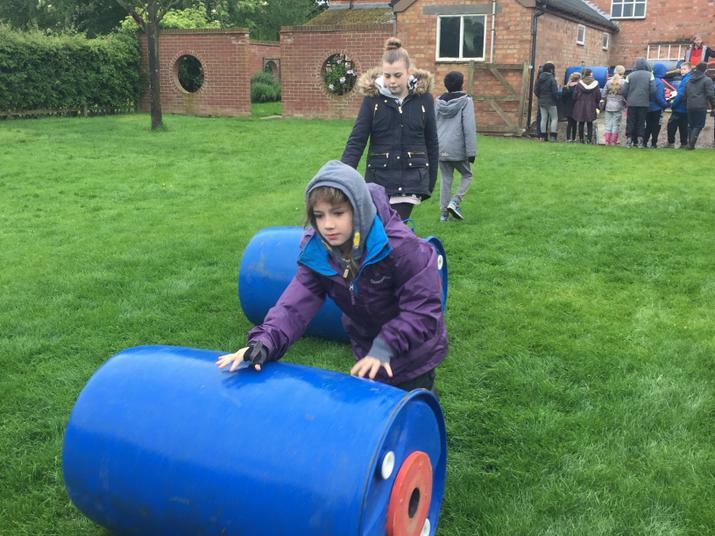 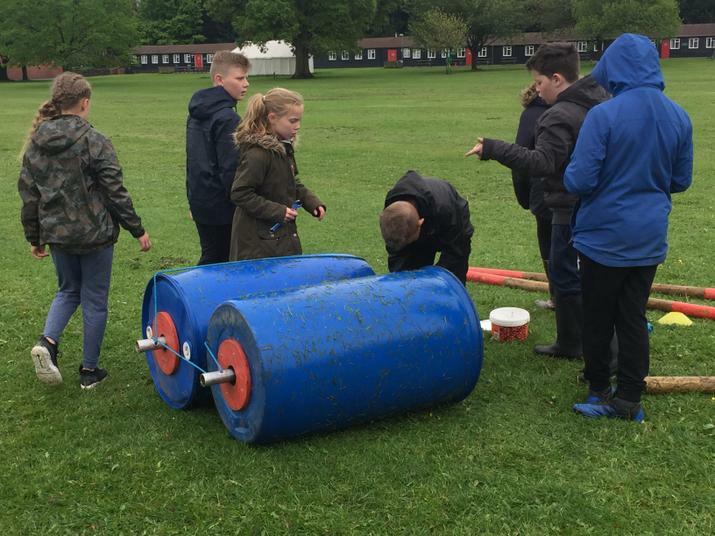 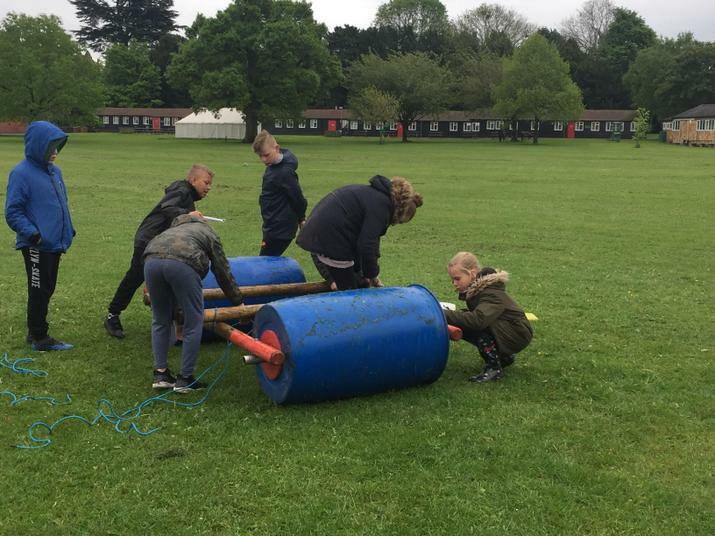 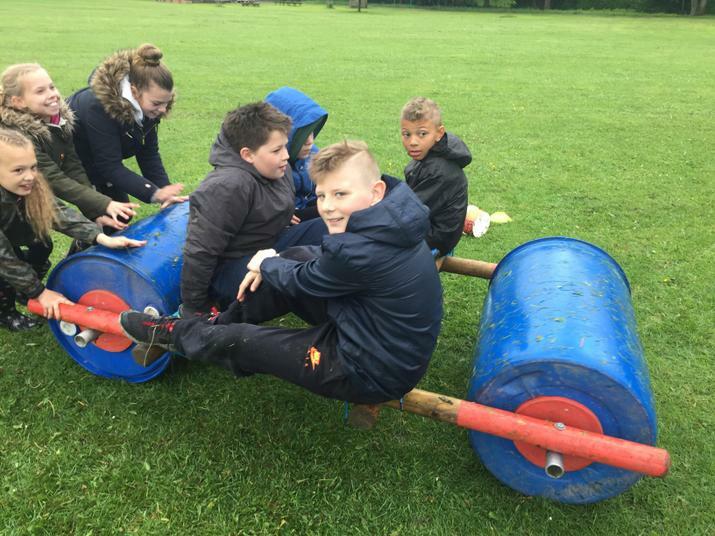 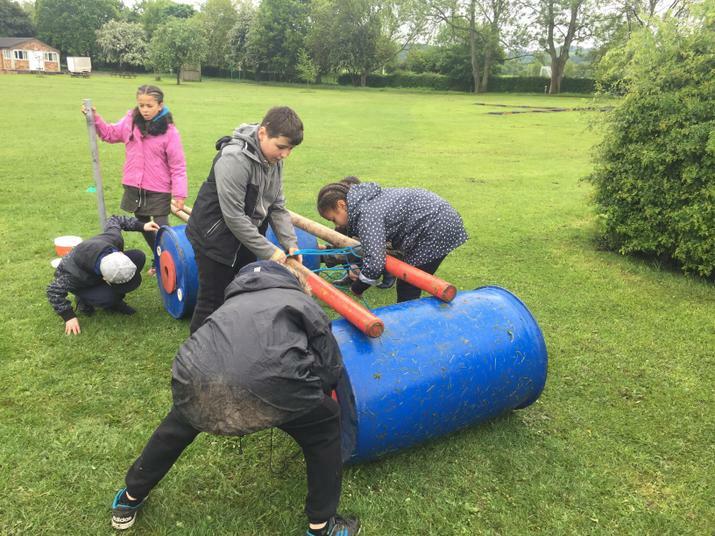 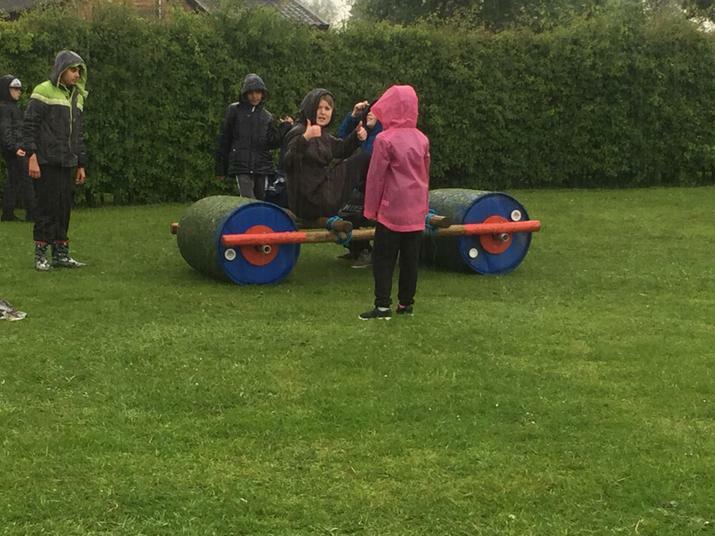 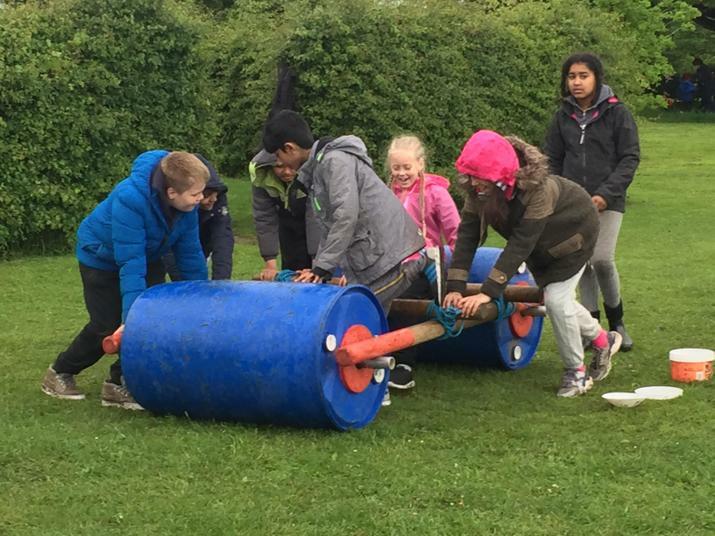 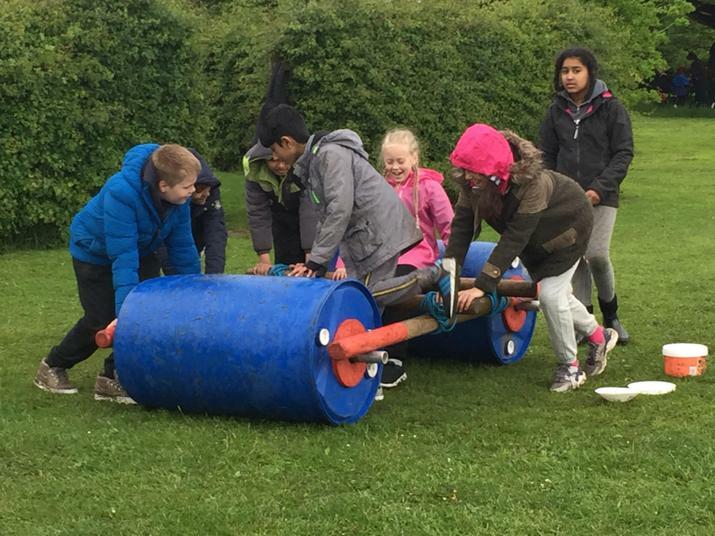 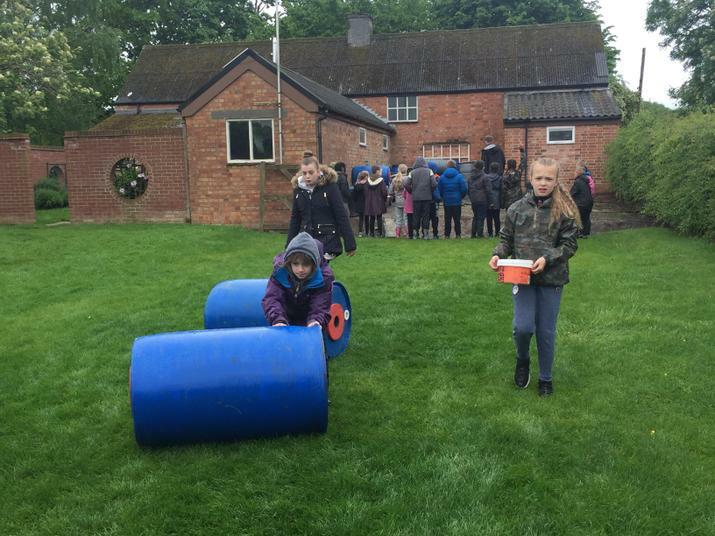 Working in teams, the children used barrels, poles, bolts and tools to create a buggy that could transport them across land. 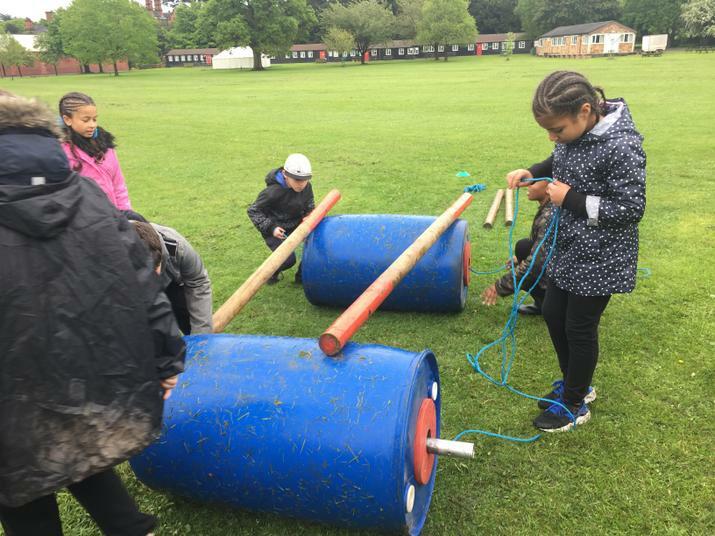 During the process they learnt how to tie different knots. 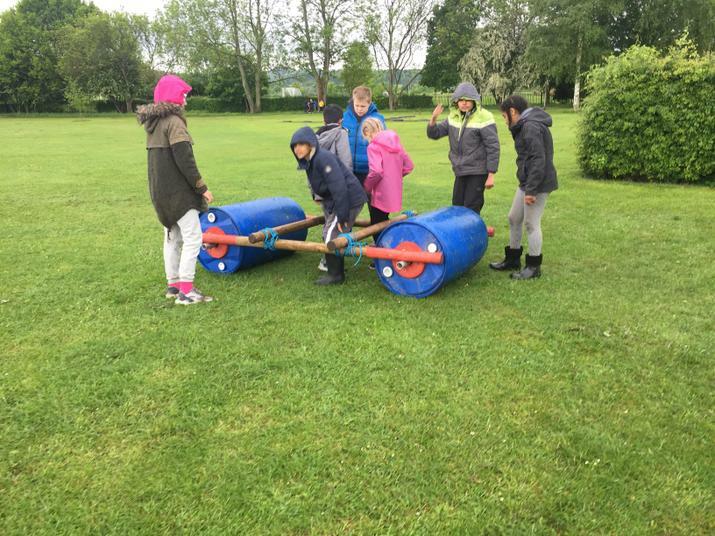 They worked well in their teams, making sure everyone got a ride on their buggies. 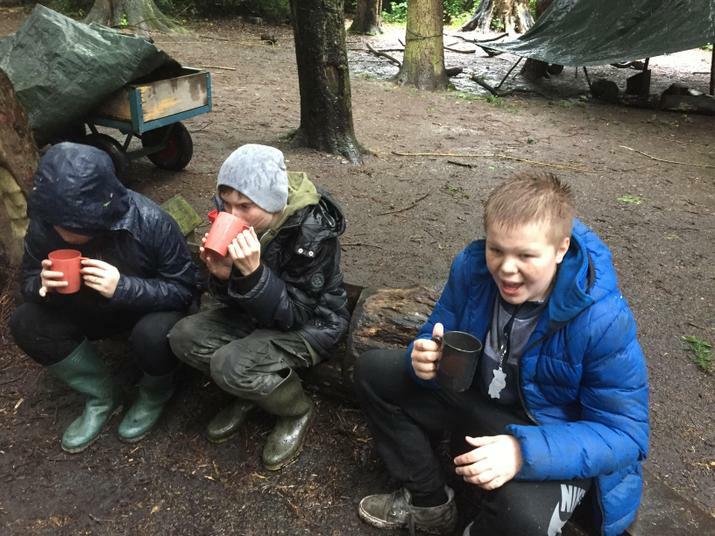 After we tidied up camp and had lunch before setting off back to school where we had hot chocolate waiting for us! 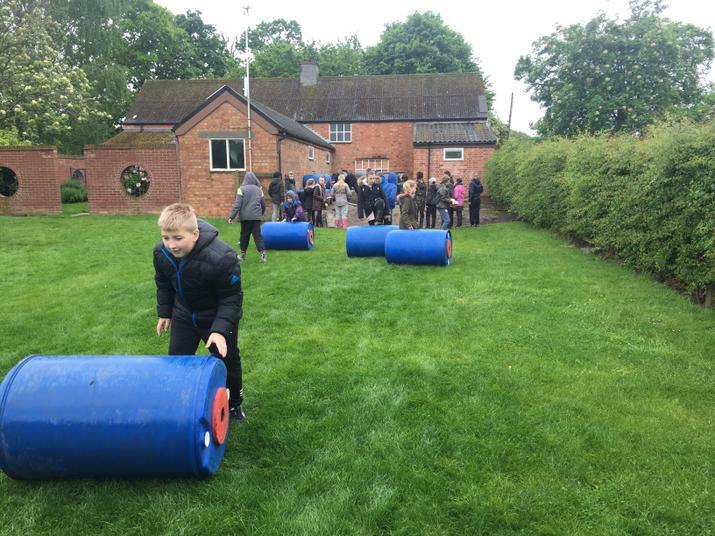 A selection of photos from all three days have been uploaded into the correct sections - I may add more as I sort through them. 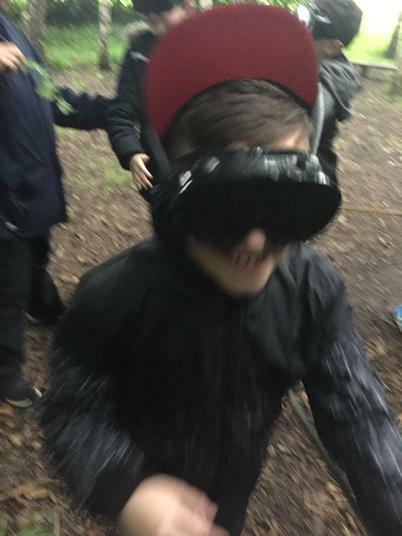 I hope you all will enjoy looking through them, talking about the moments captured in the picture. 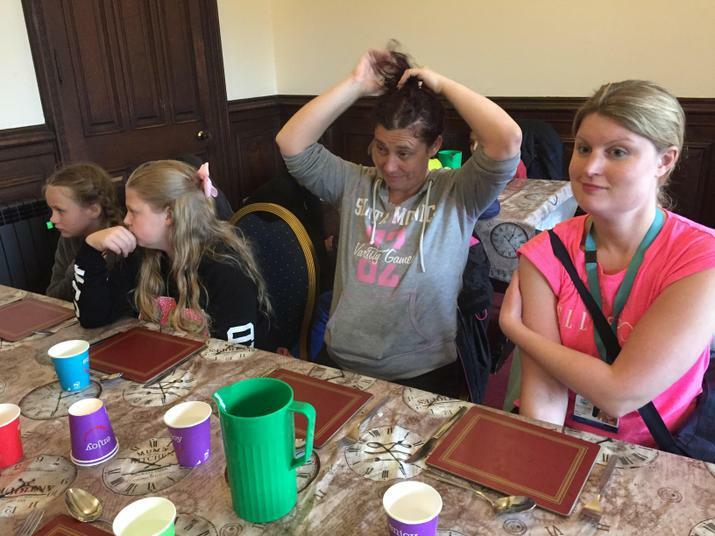 Could I also mention the fantastic adults who went on the trip, without them the trip wouldn't have been possible. 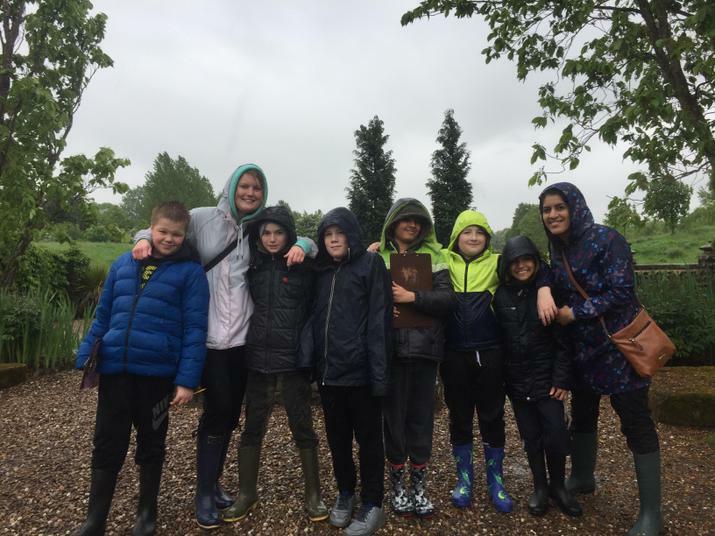 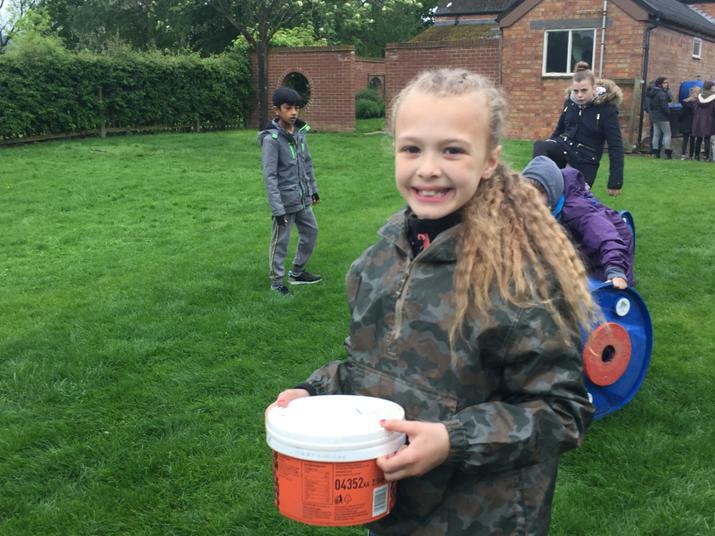 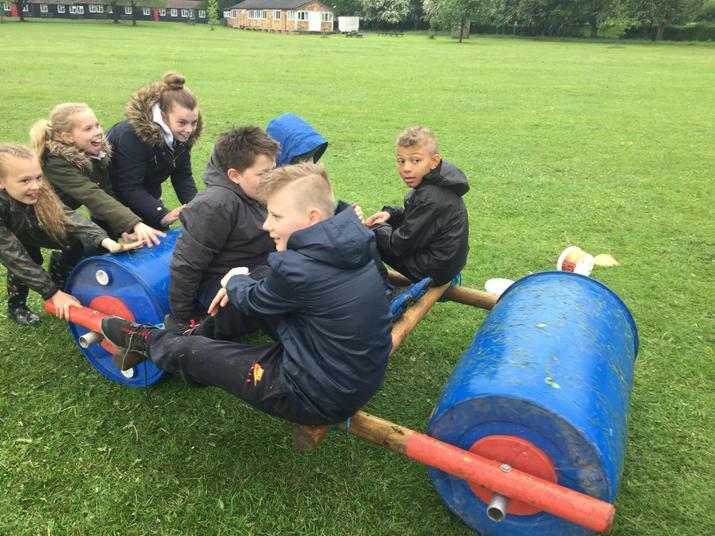 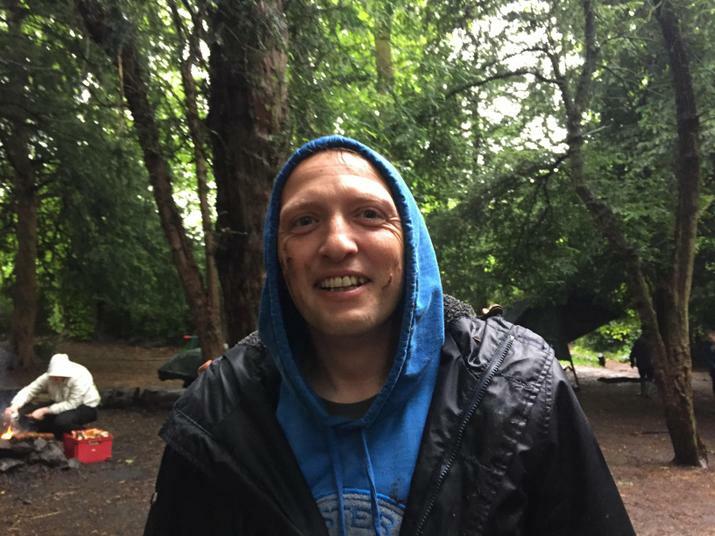 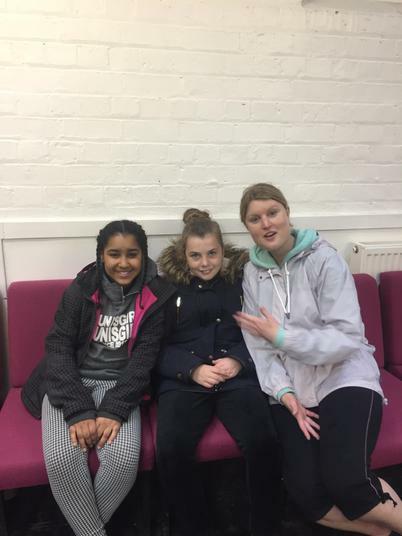 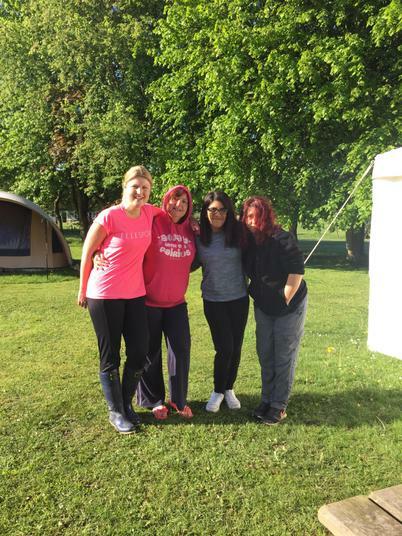 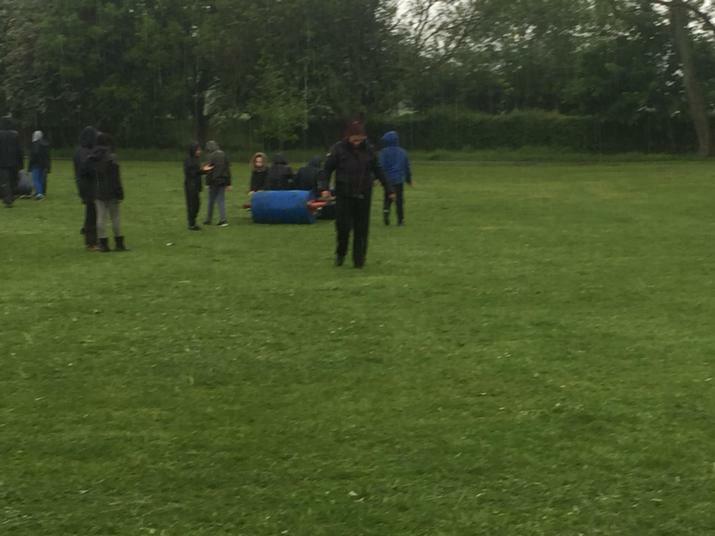 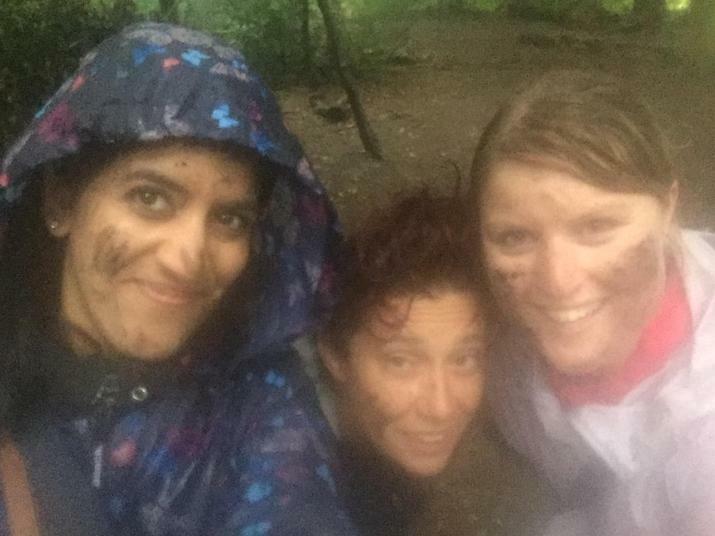 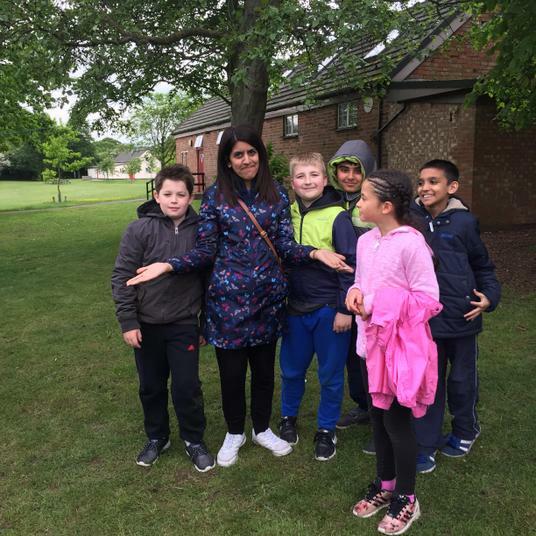 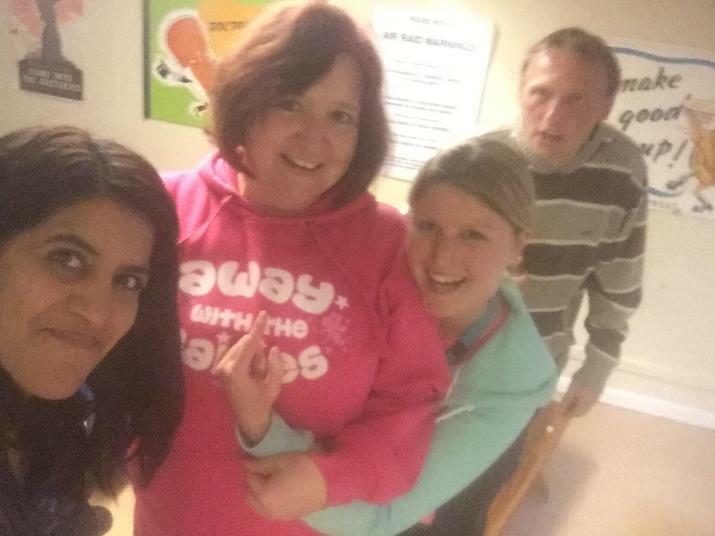 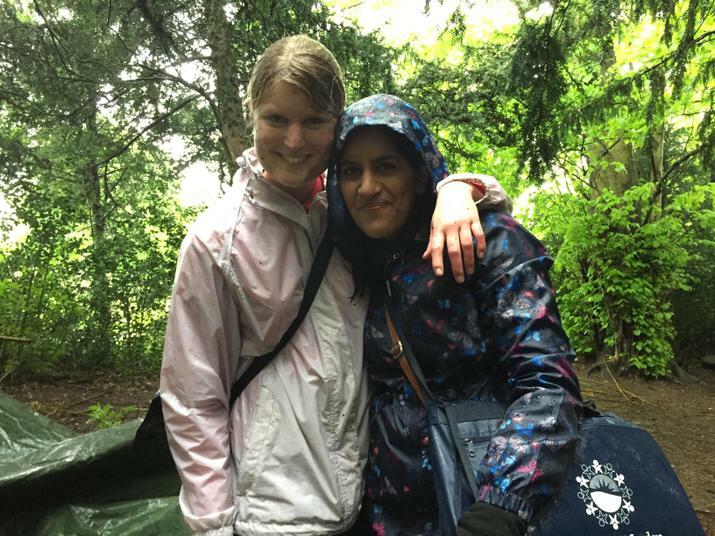 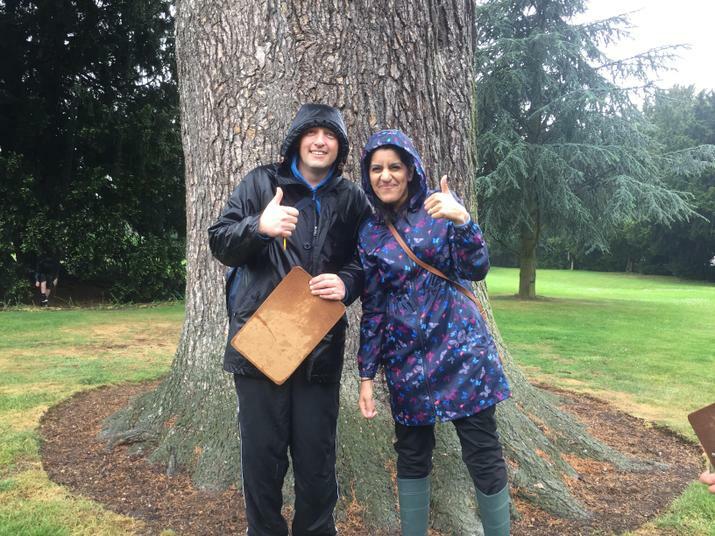 They have been fantastic with their determination to not allow the rain to spoil the experience for the children, working through their own injuries and illnesses, beyond 1am and up at 5am with a smile to greet the children - Thank you Mr Plant, Mrs Harriman, Miss Jones and Miss Radford. 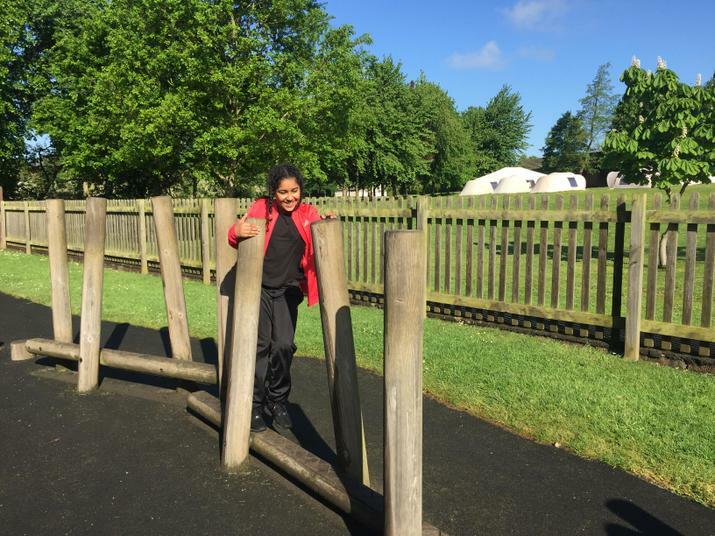 We had lunch outside on the picnic benches as it was sunny and warm. 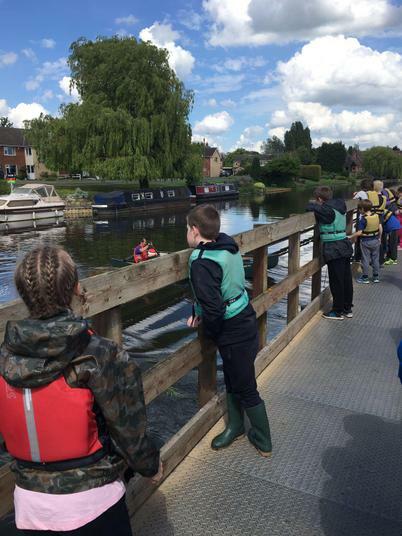 Then we took up a spot of canoeing. 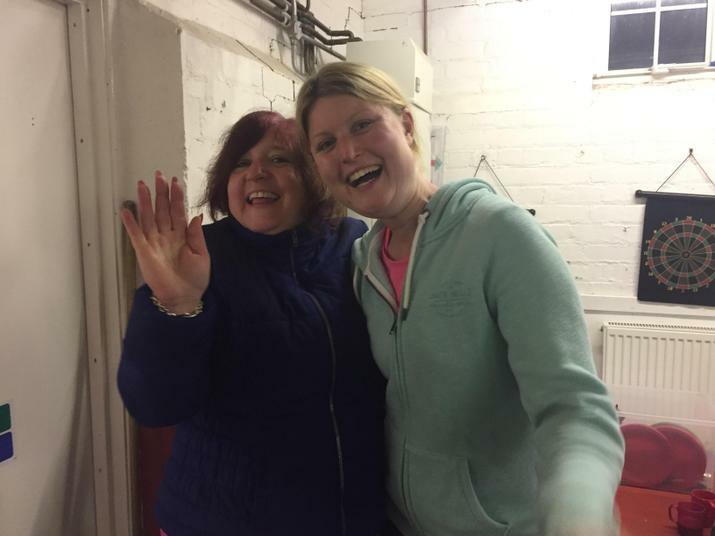 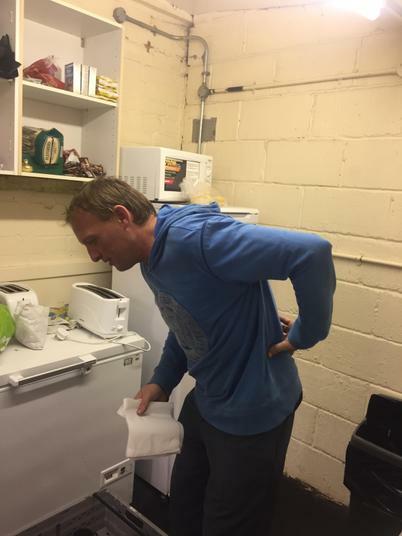 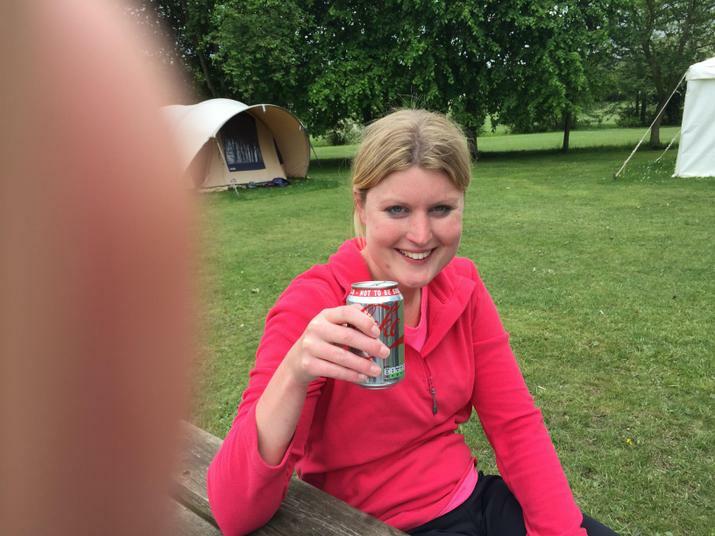 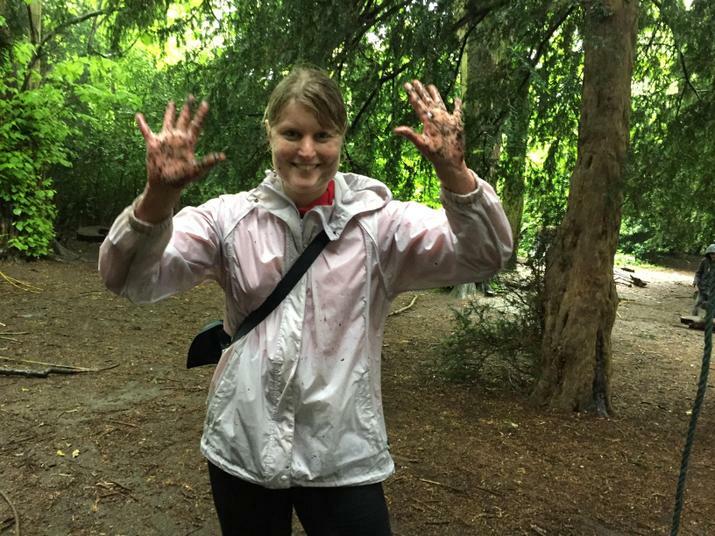 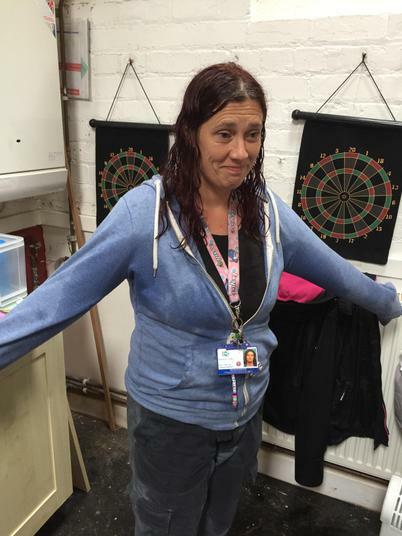 Mrs Harriman was attacked by a swan and duck poo all over her trousers to prove it! 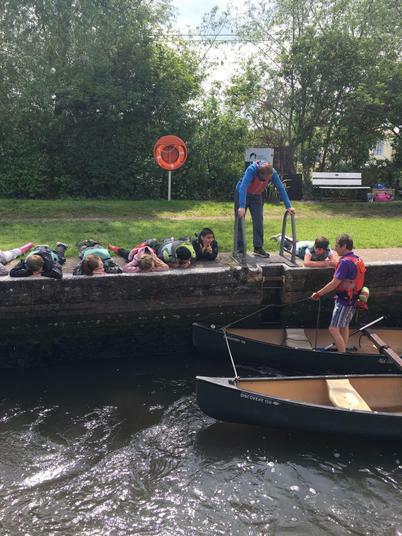 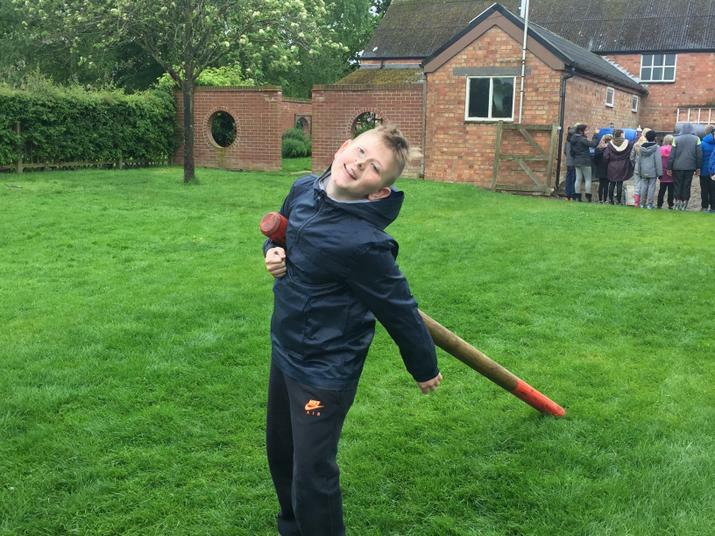 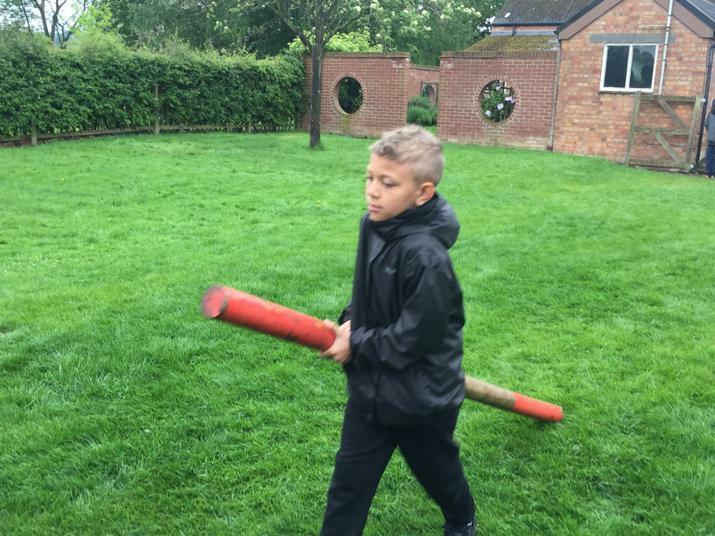 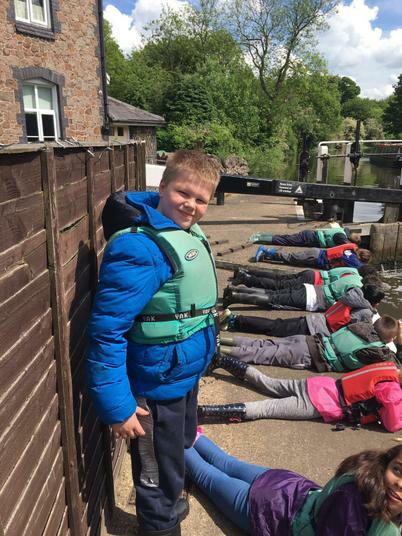 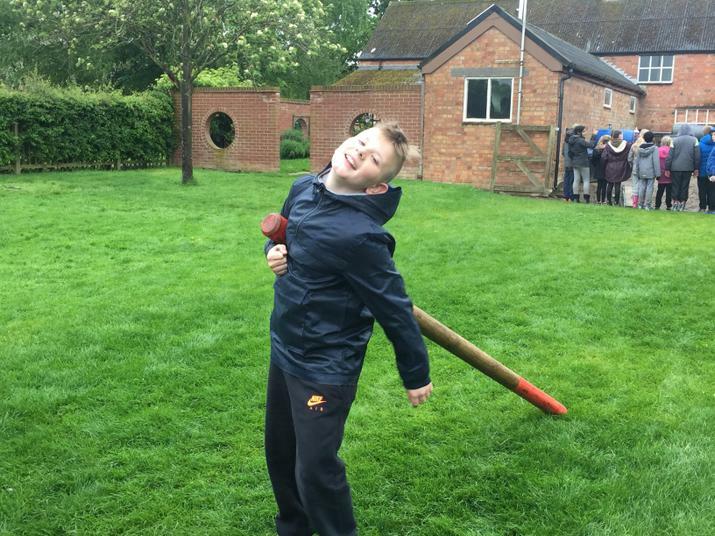 Dominic managed to leave the rest of his group stranded and Harsh managed to lose his oar. 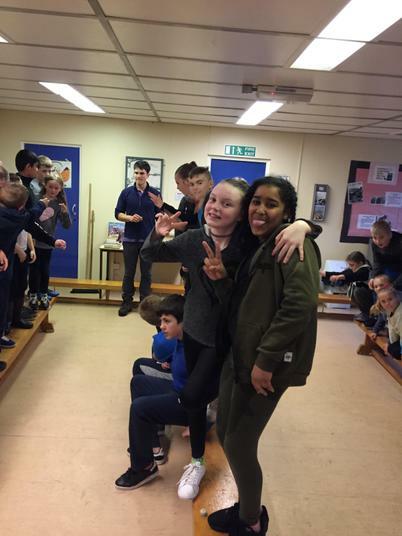 Mayah decided to soak Miss Jones!! 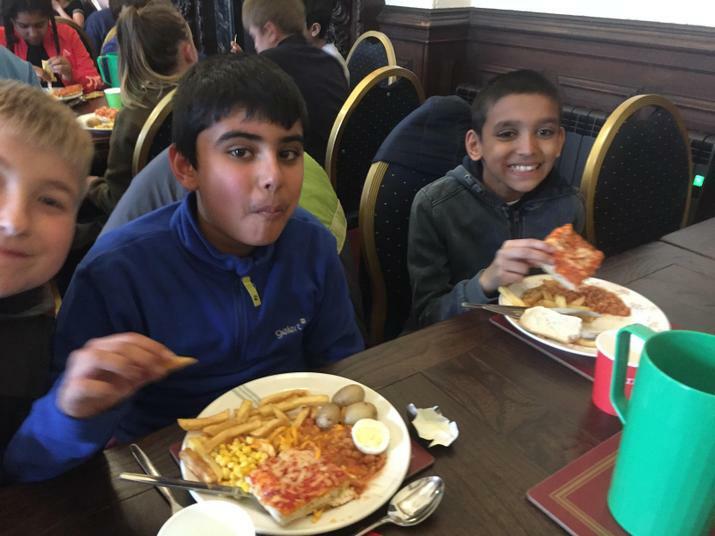 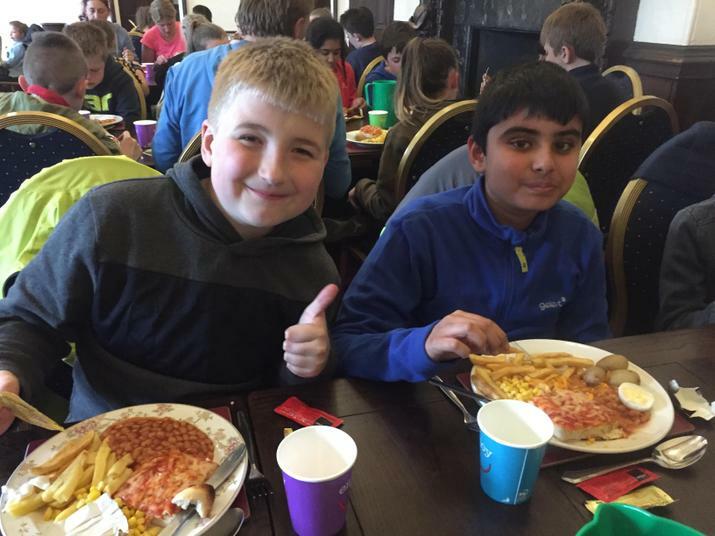 For tea we had pizza, chips and beans with ice cream and cookies for pudding. 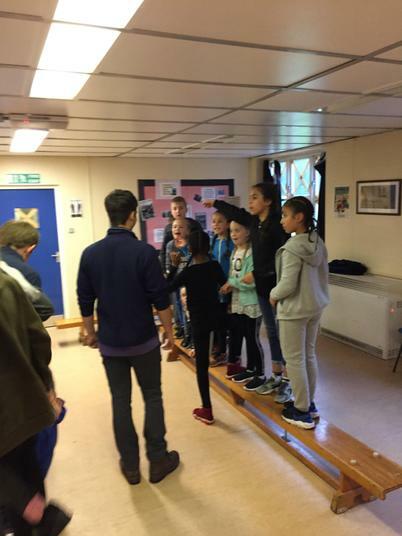 After tea, we went for a Nightline session. 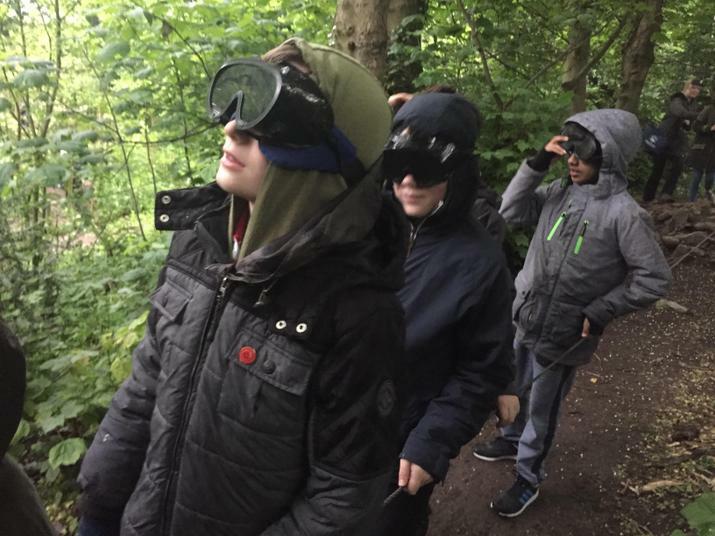 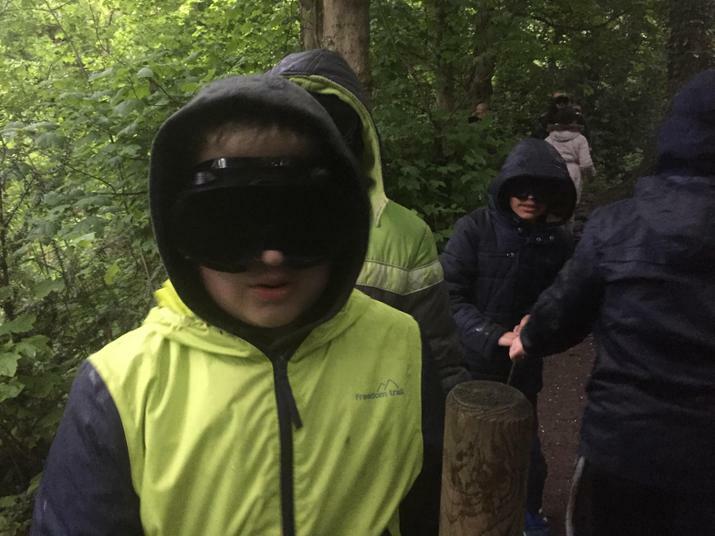 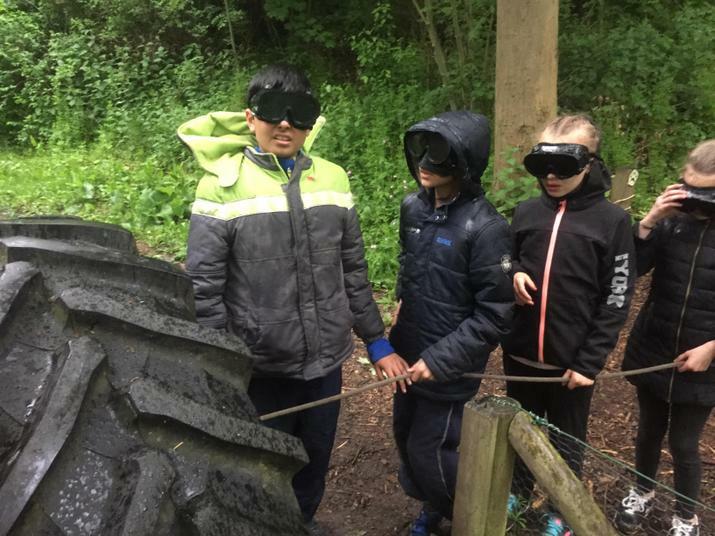 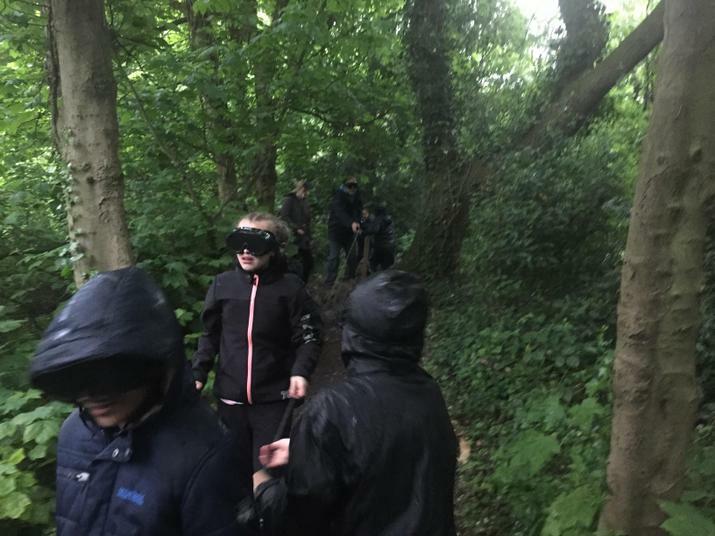 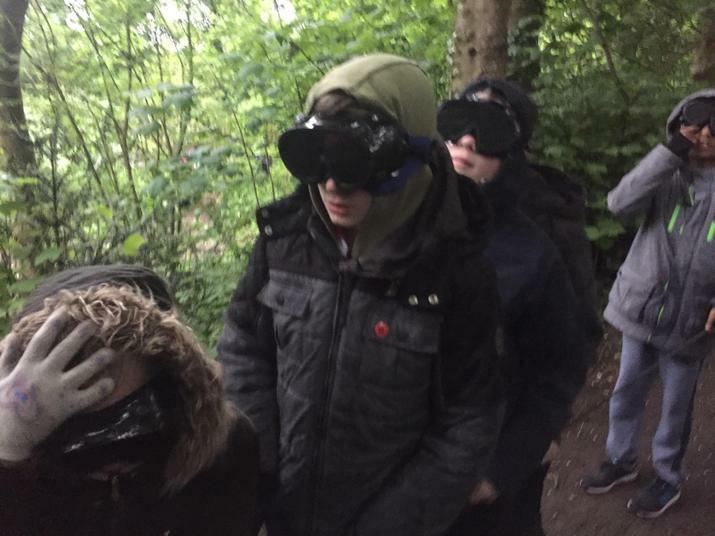 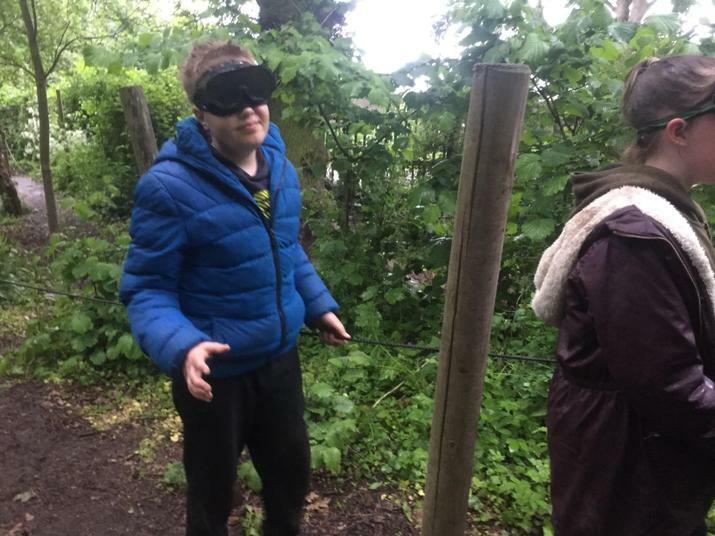 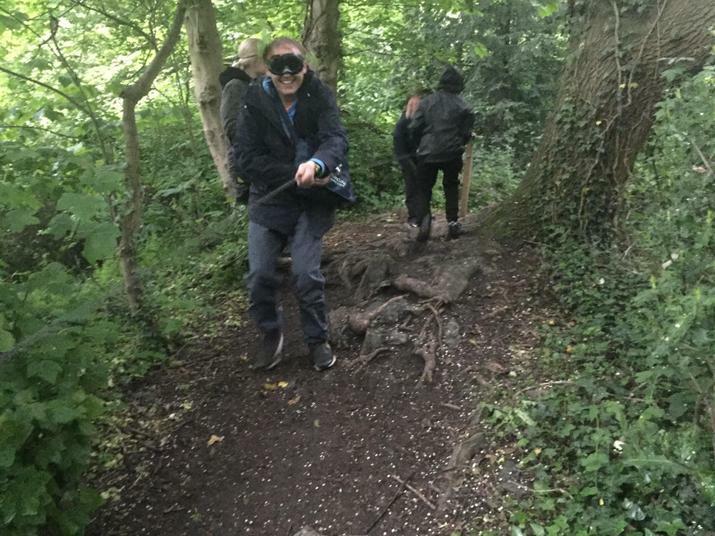 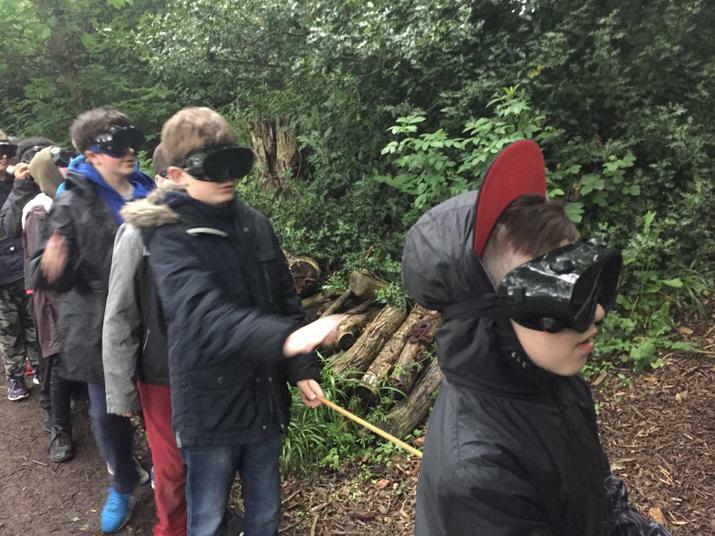 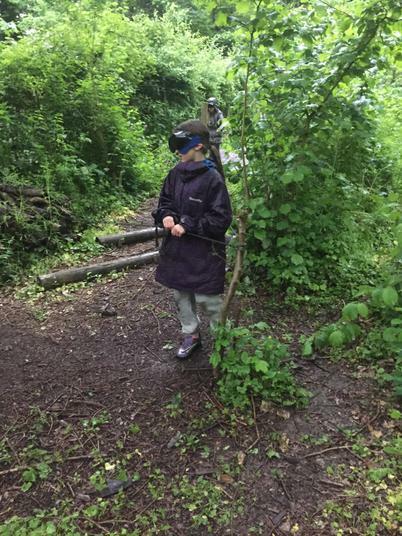 We wore blindfolds and had to follow a rope trail without the sense of sight. 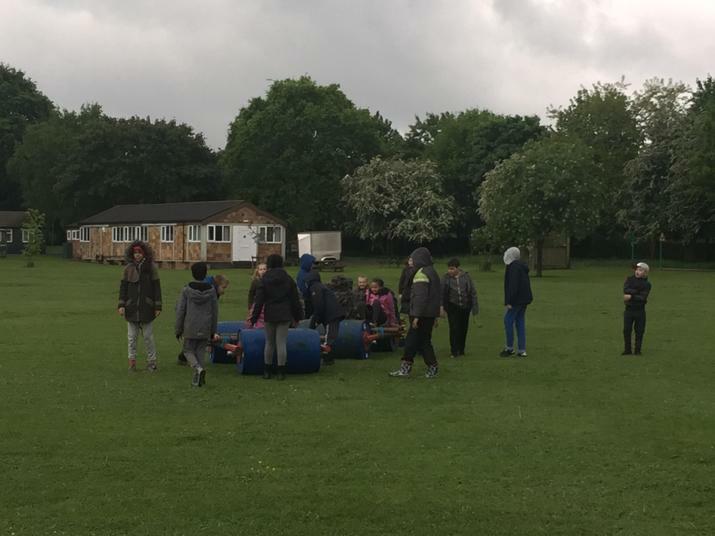 Just as we started the heavens opened which made for a very interesting session! 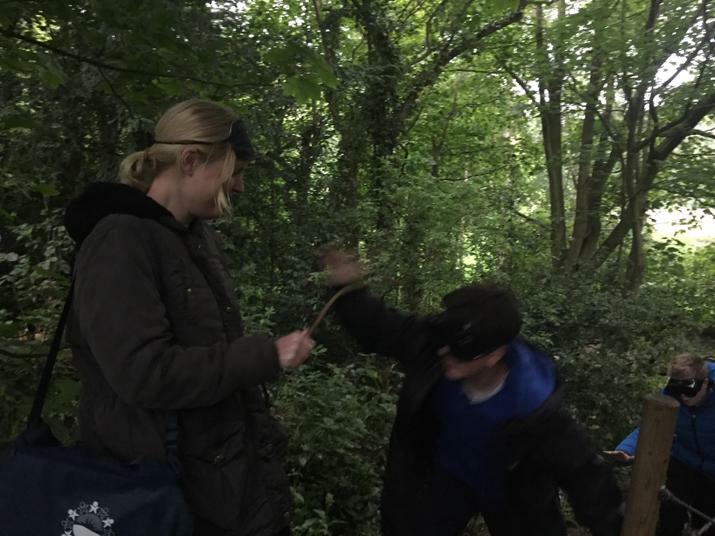 Miss Jones and Miss Radford used sticks to tickle the children as they walked past. 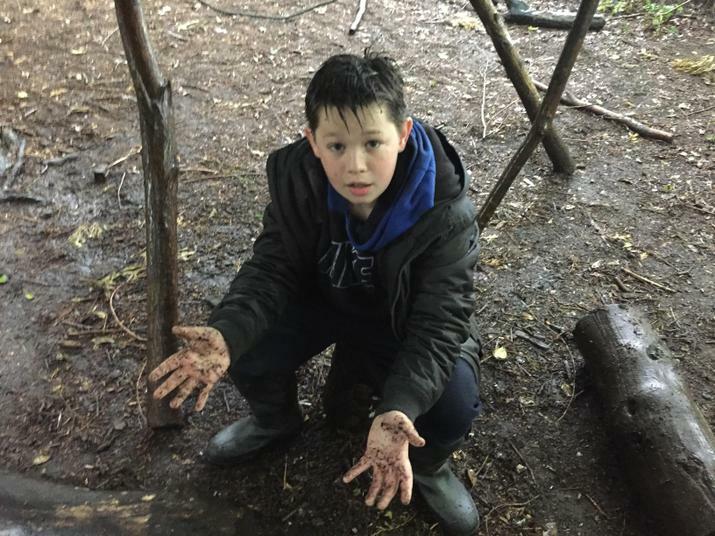 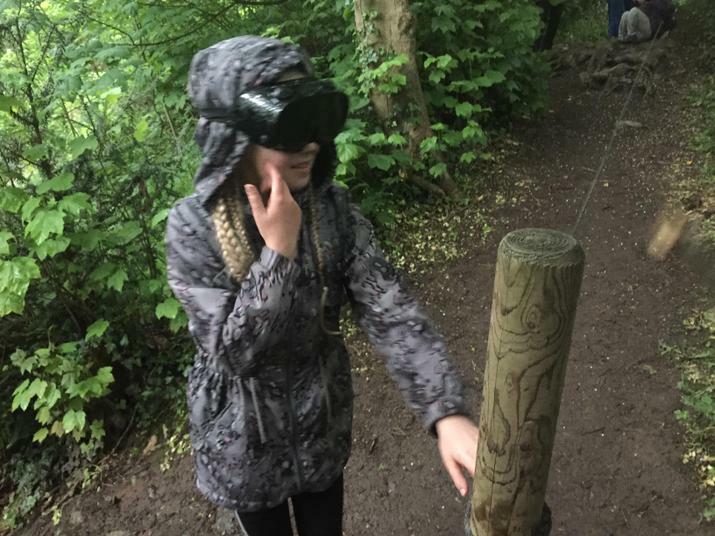 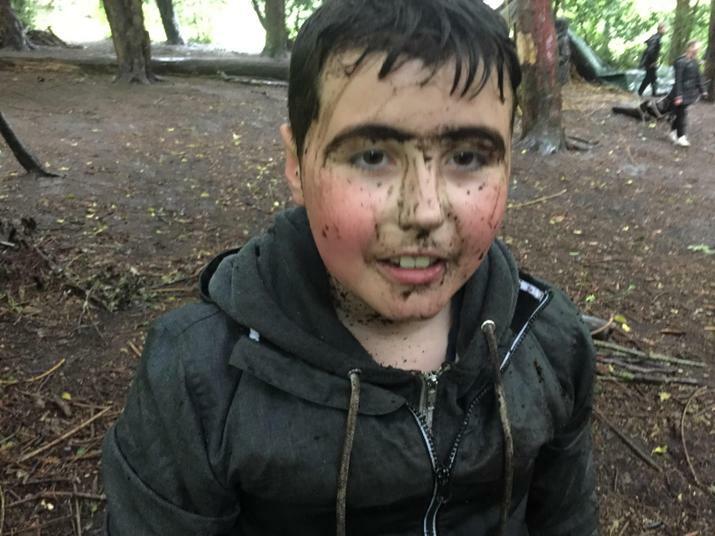 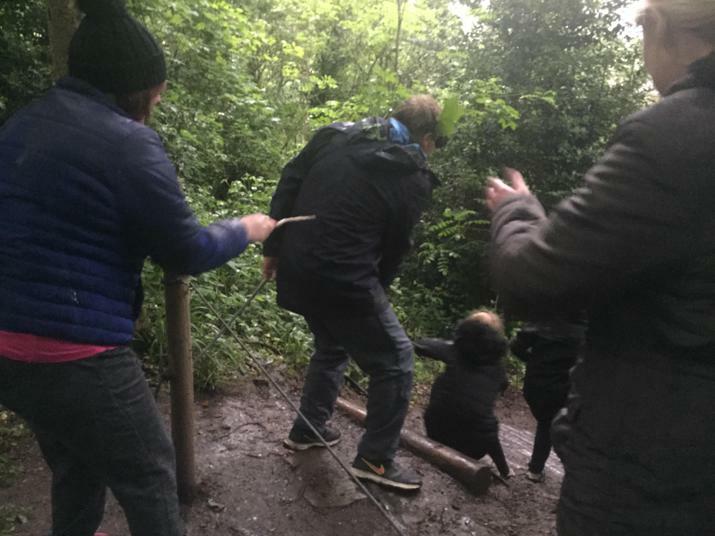 Unfortunately for Mr Plant, they did less tickling and more poking with the stick, sending Mr Plant flying down the muddy hill landing on his back. 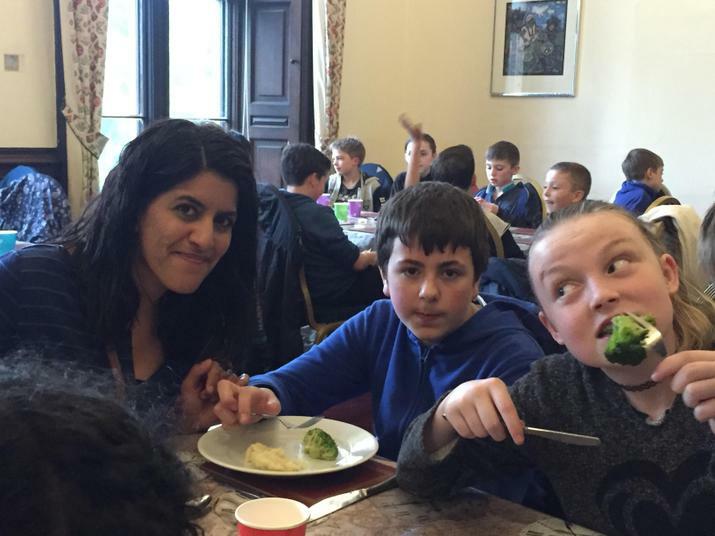 This left Mrs Harriman with tummy ache from laughing too much. 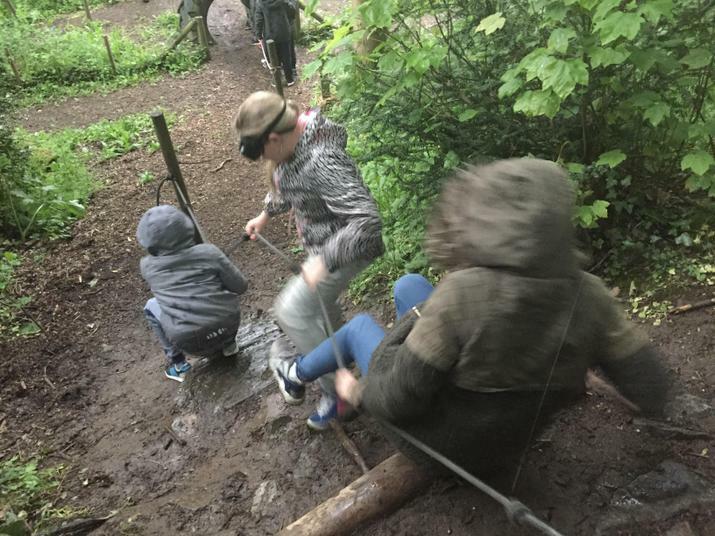 Luckily the children were a lot better than Mr Plant at completing the course. 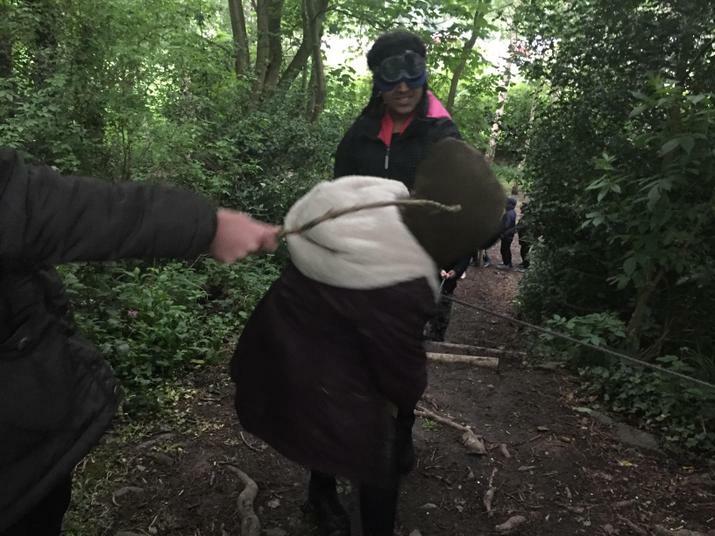 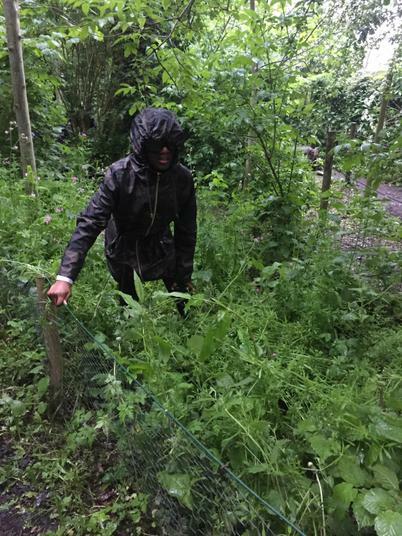 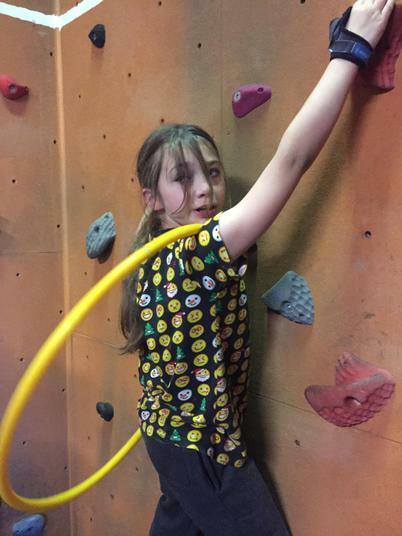 Even Aniah who managed to lose the rope and follow her own path into a bush completed the course better than Mr Plant. 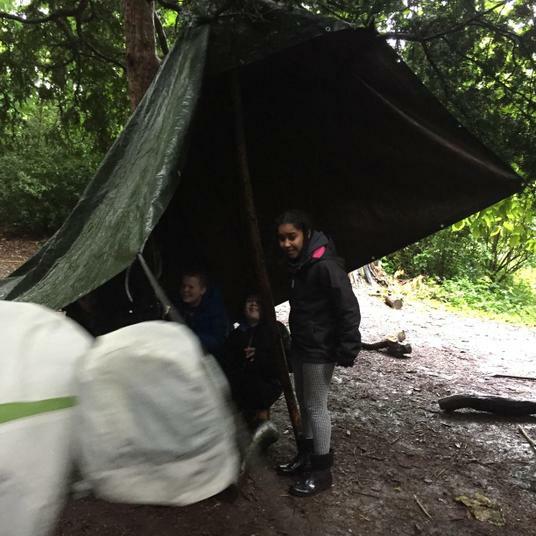 After we arrived back at camp we realised the cold, wet and a couple of flooded tents (we forgot to close our windows!!) 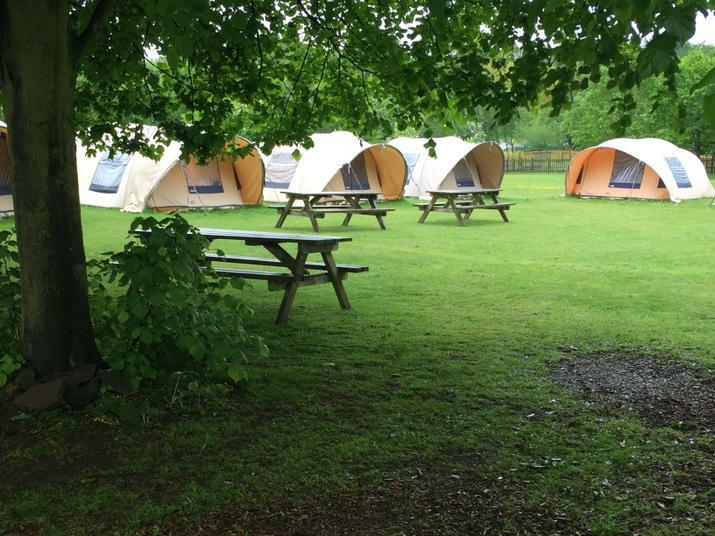 meant we had to think of alternative sleeping arrangements. 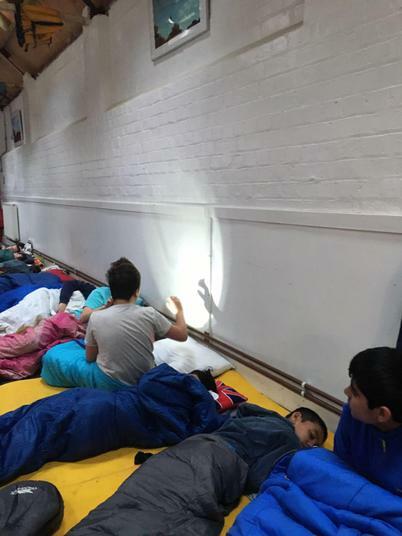 We had a vote and decided to have a mass sleepover! 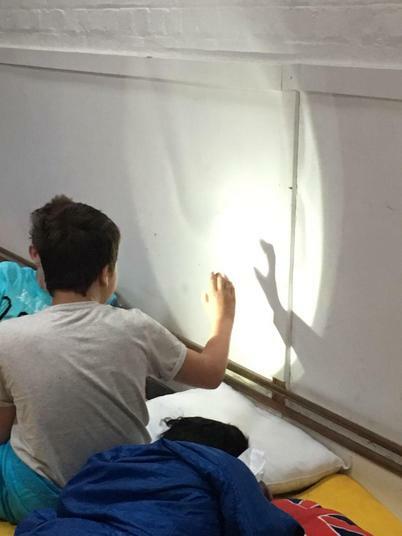 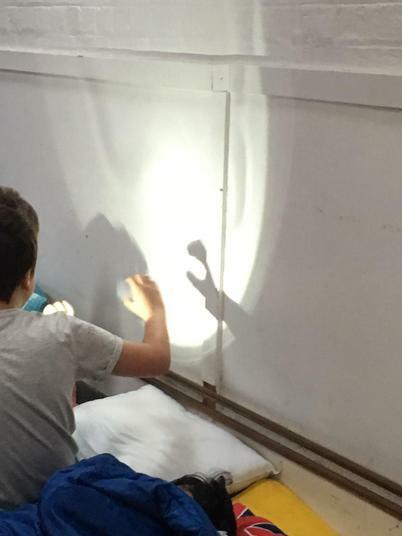 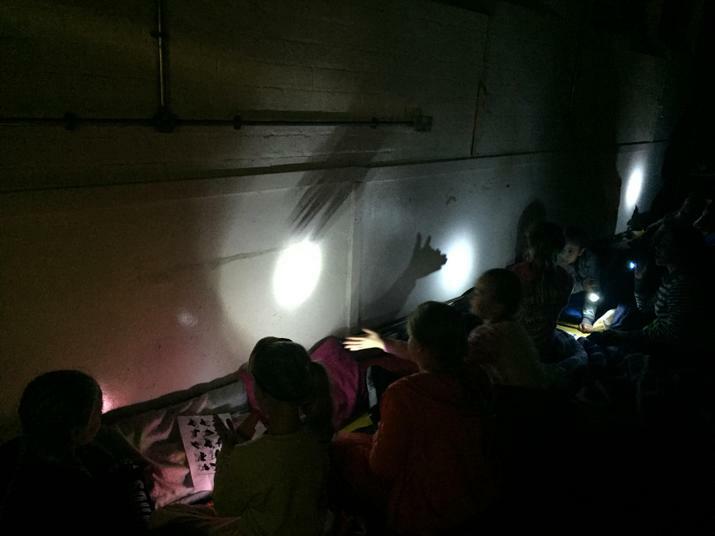 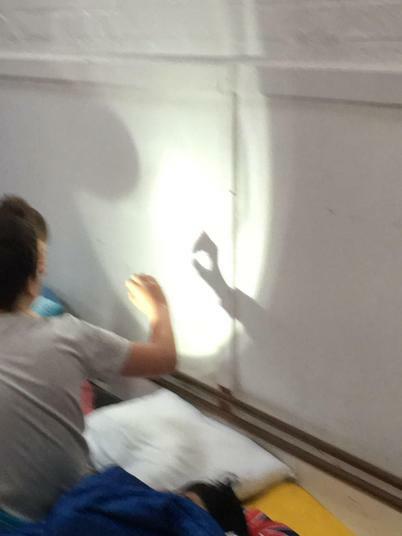 We converted our games room into a massive room to sleep in and spent time talking, listening to a spooky story and making shadow puppets on the wall. 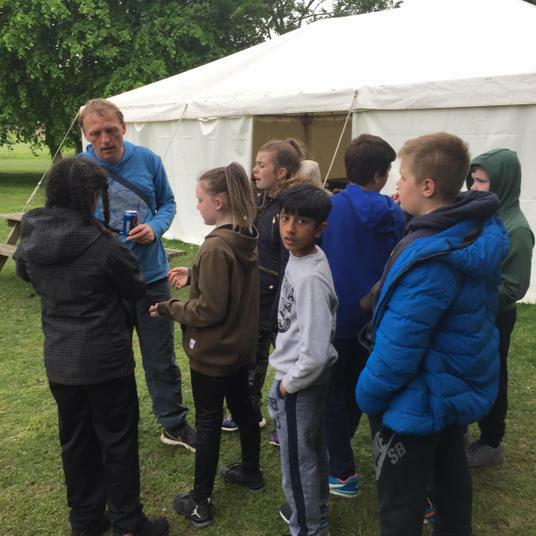 Many of us were really tired so we struggled to stay up and chat or read. 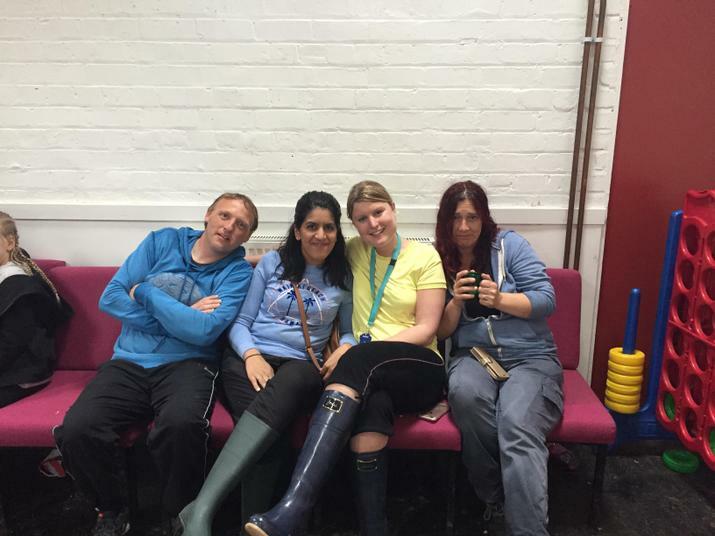 The adults were still up (and are still up- hence the late post!) 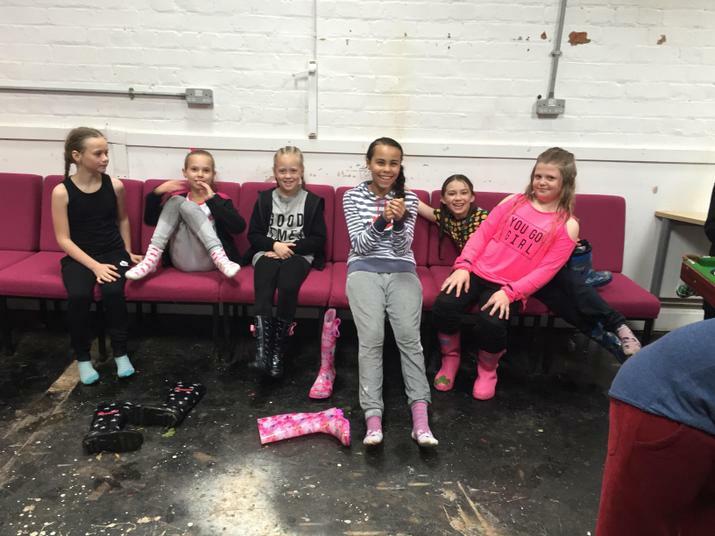 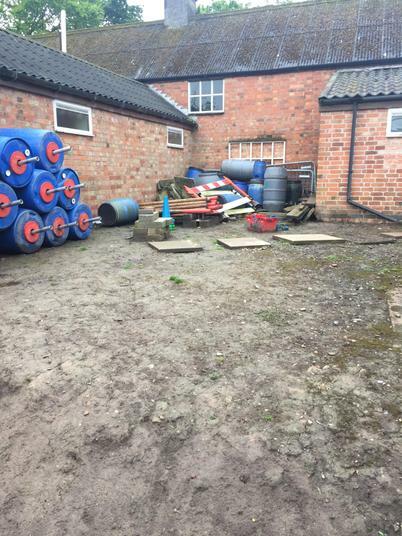 using the drying room (again!) 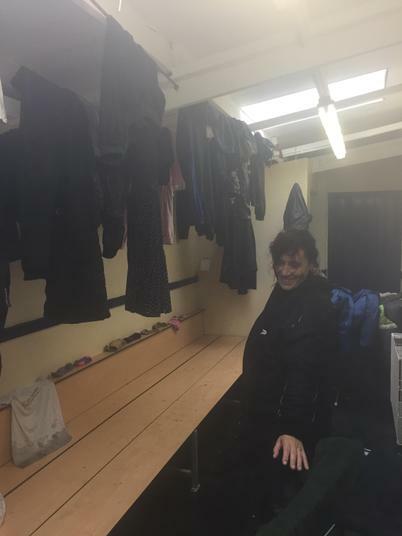 to dry our clothes ready for more rain tomorrow! 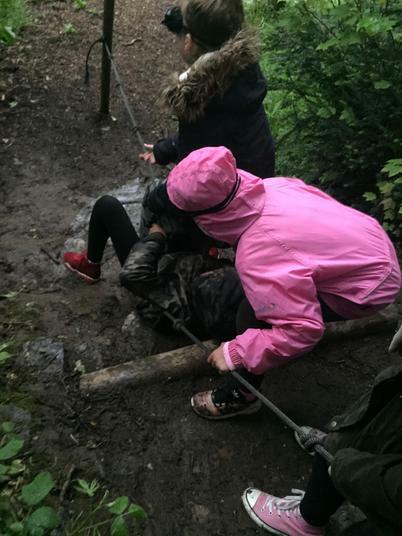 Miss Jones is up suffering the effects of sun stroke and Mr Plant has a bad back! 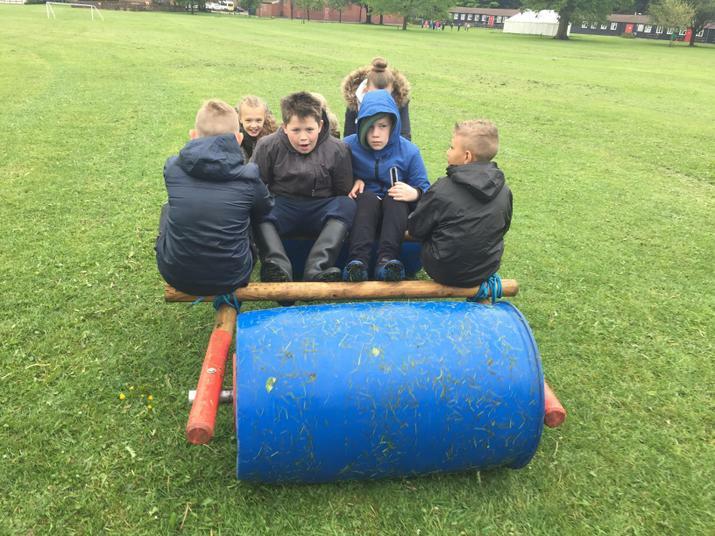 In the morning we have the land buggy session and then lunch before heading back! 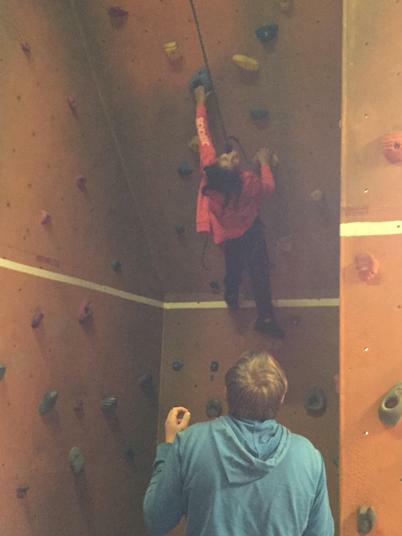 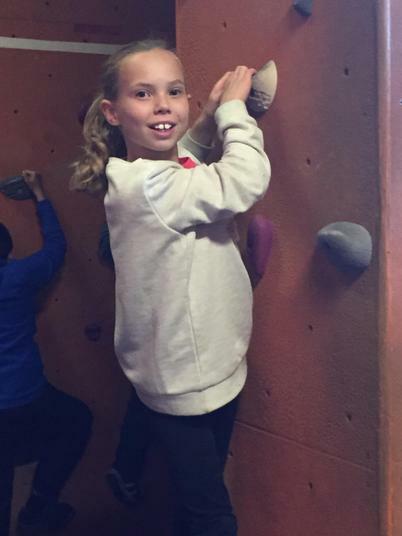 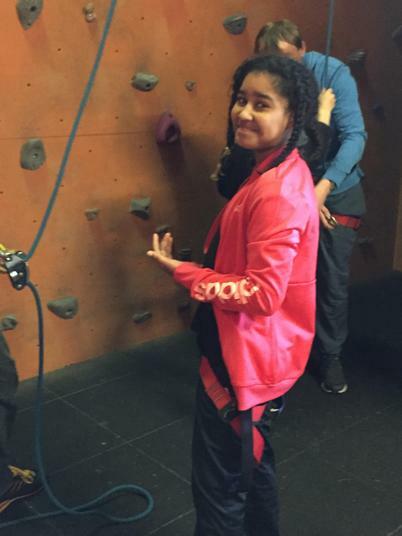 So proud of this young lady- working through her fears!! 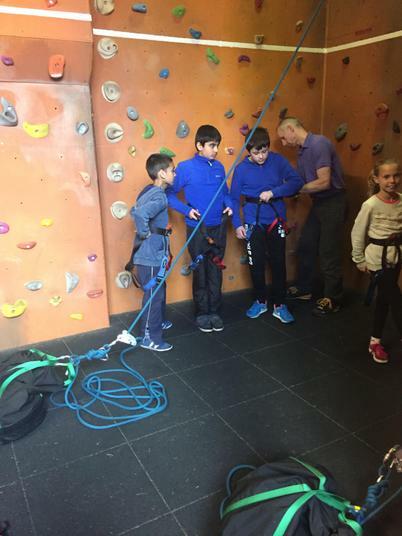 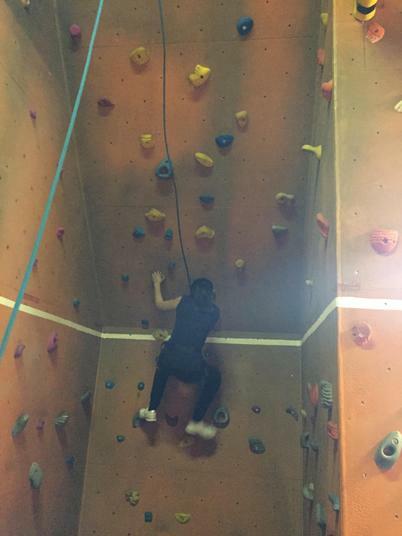 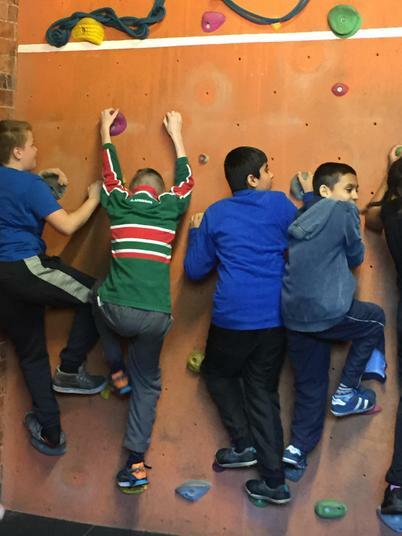 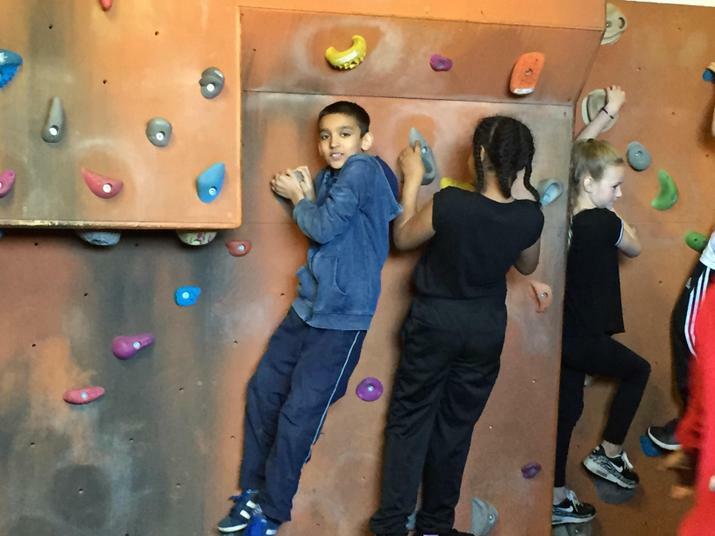 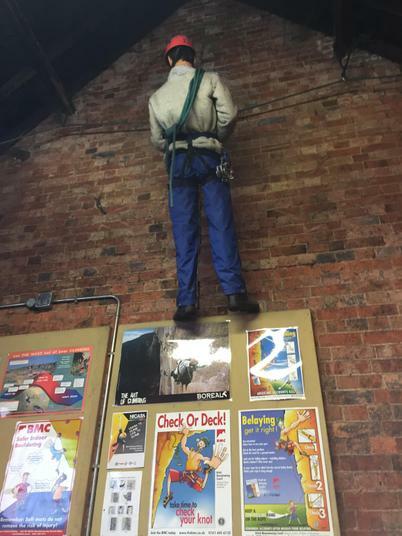 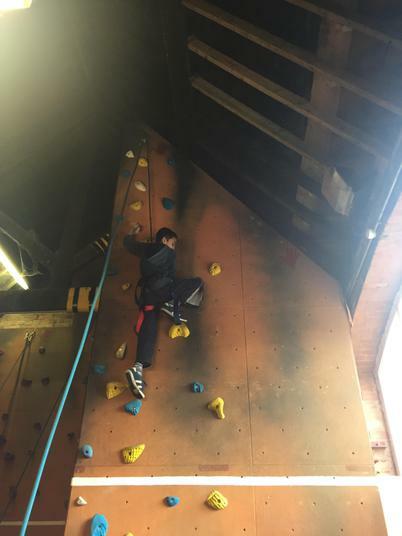 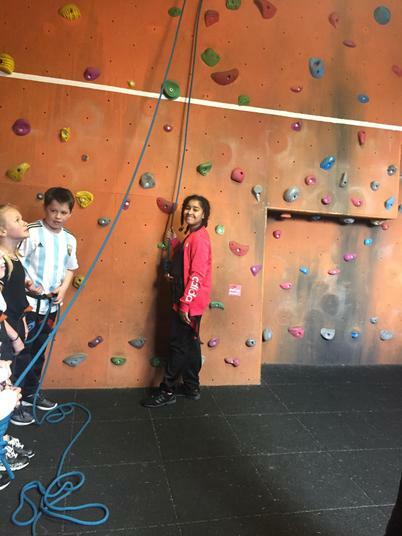 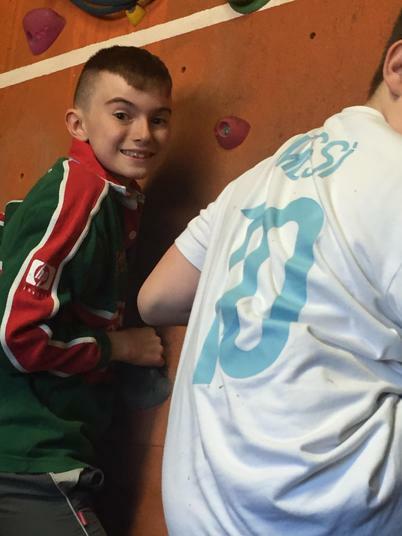 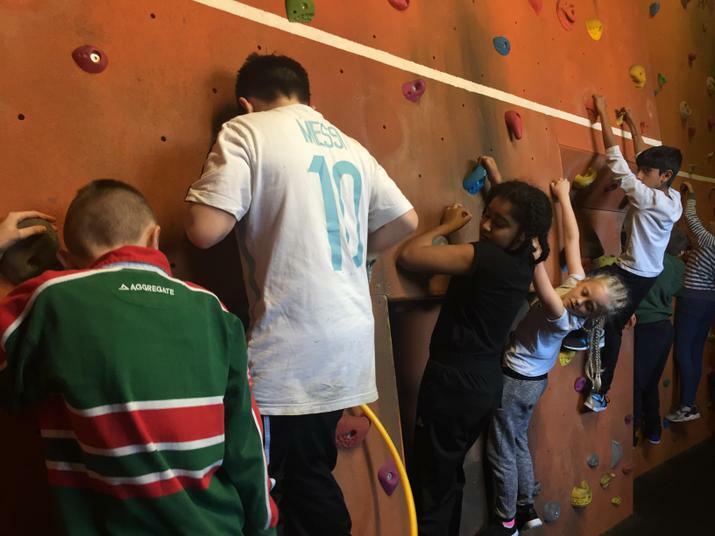 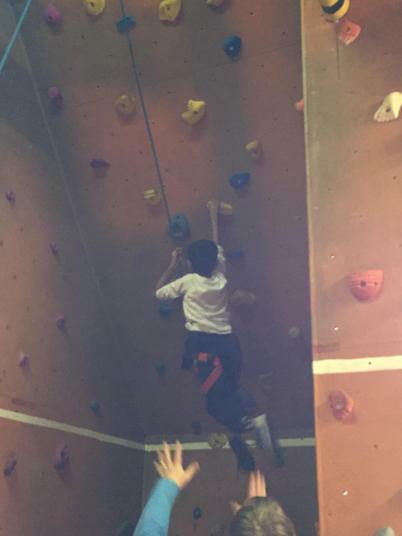 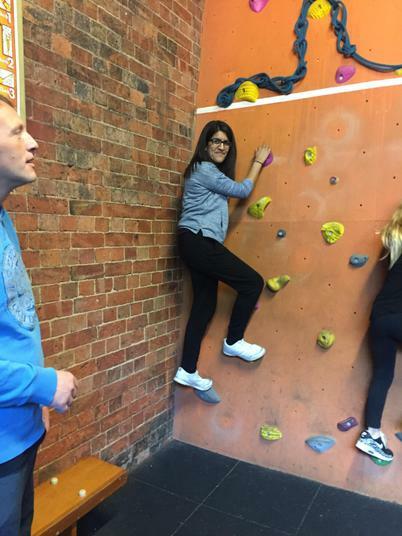 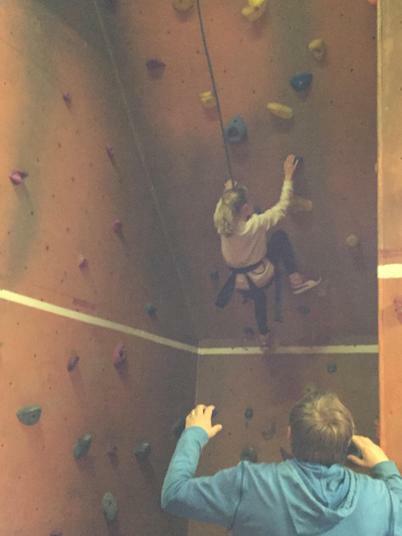 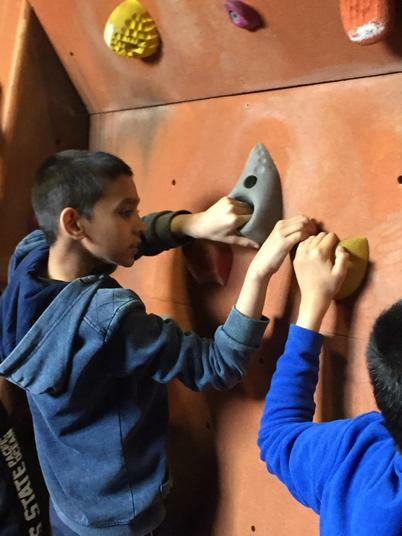 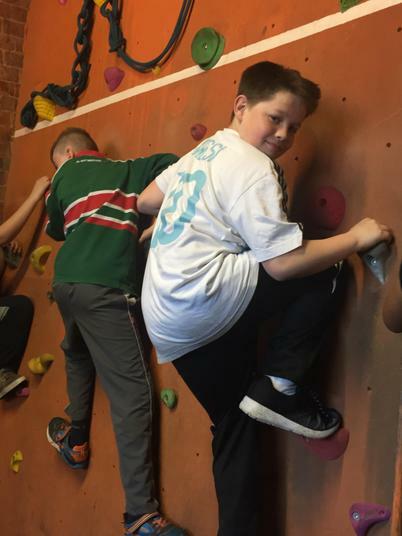 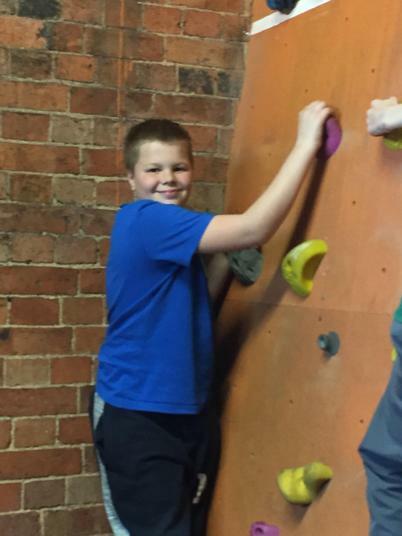 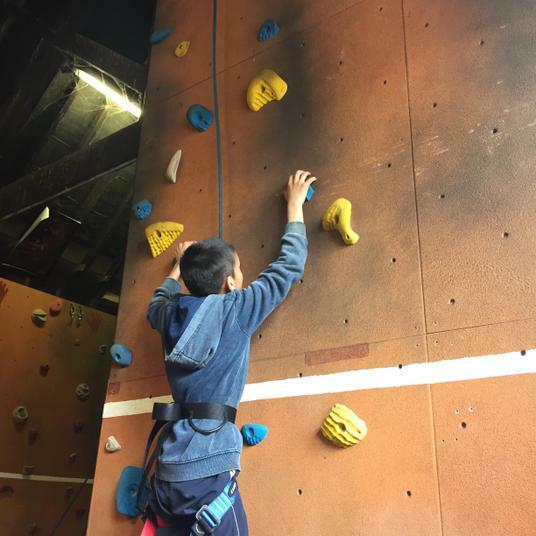 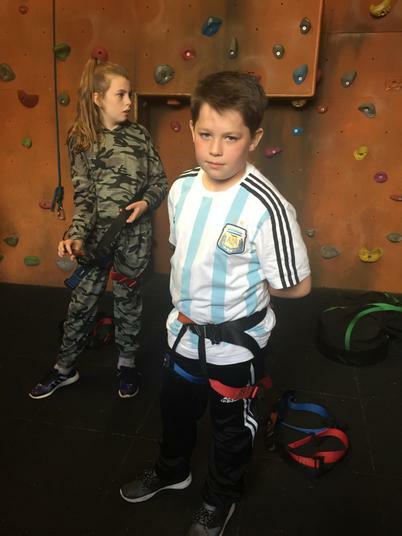 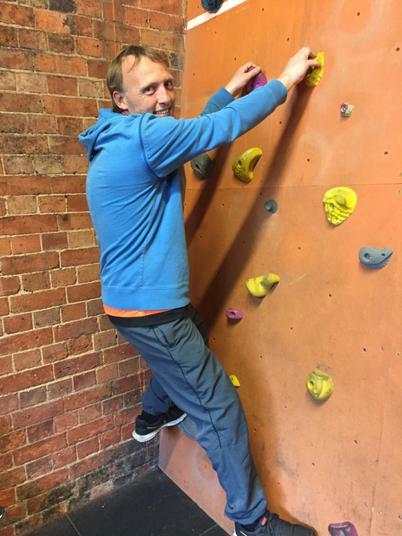 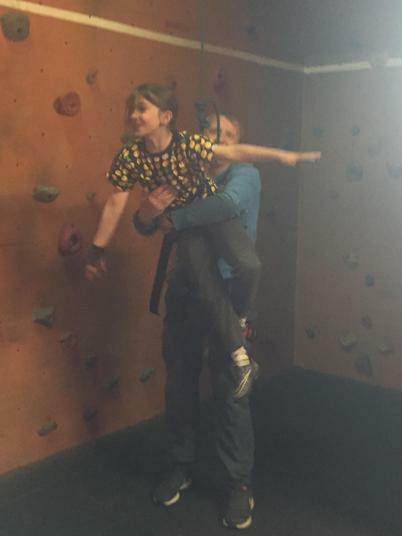 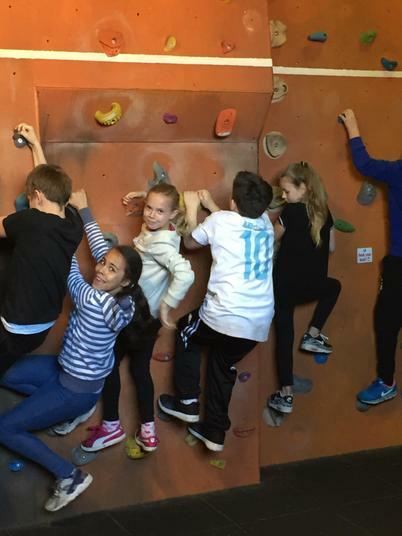 We've spent the morning climbing - some of the walls are really high! 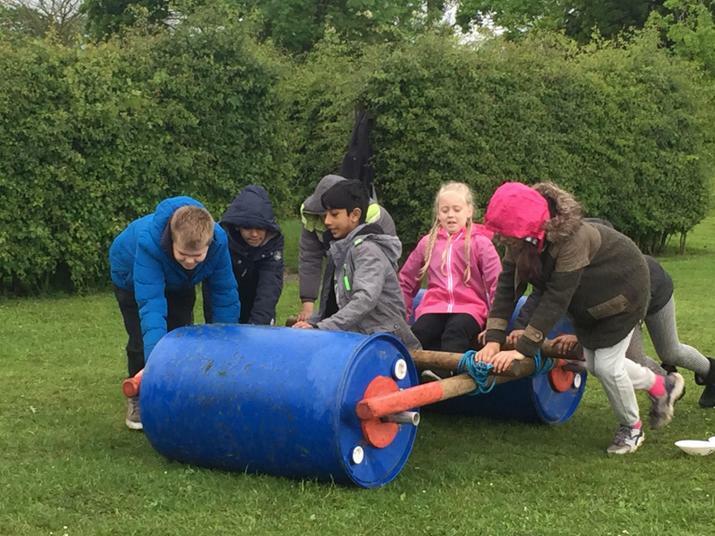 Fantastic team work too! 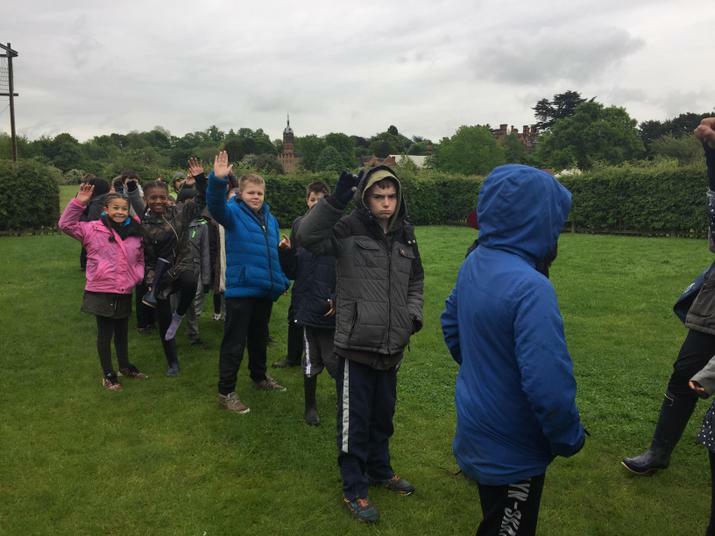 Well we've almost come to the end of day 1 of our trip! 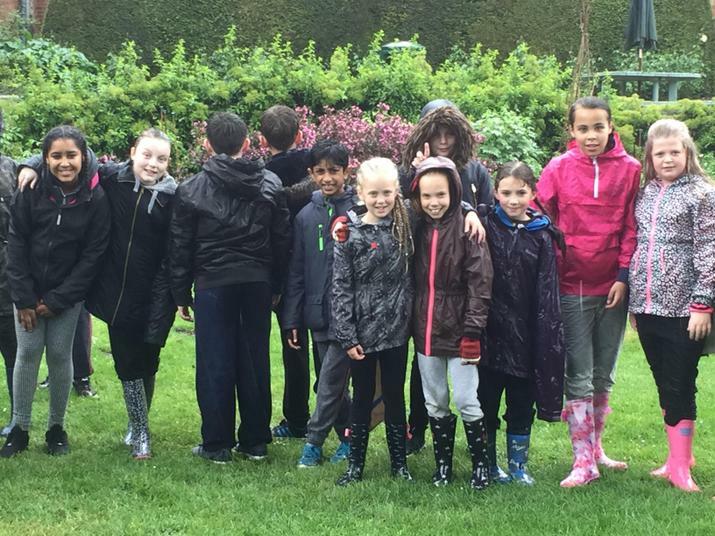 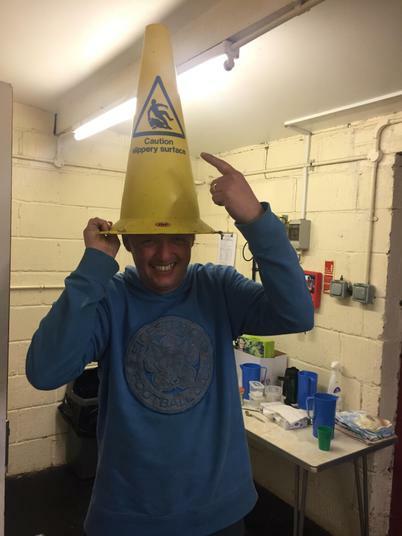 Its definitely been a soggy day! 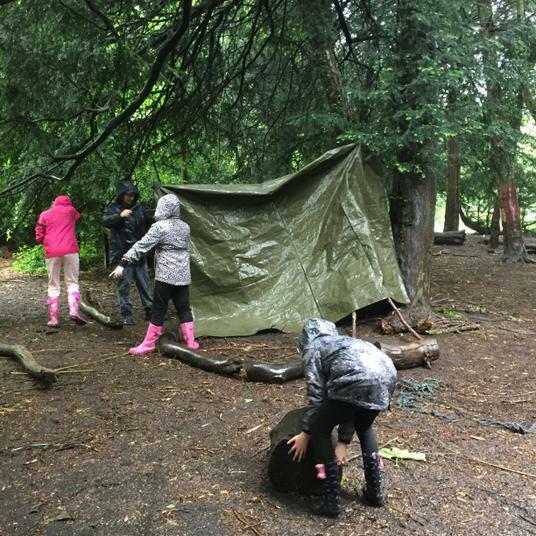 Once we arrived we made our way to the camp with our bags and spent some time getting settled into our tents. 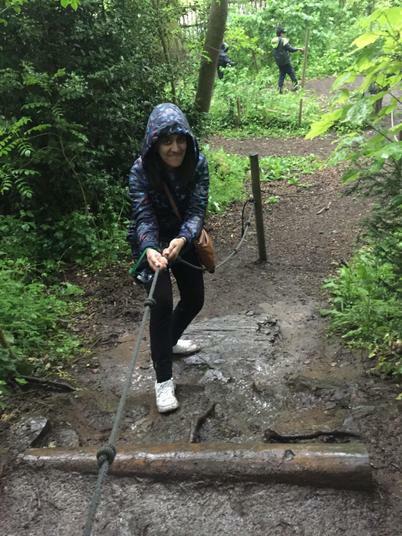 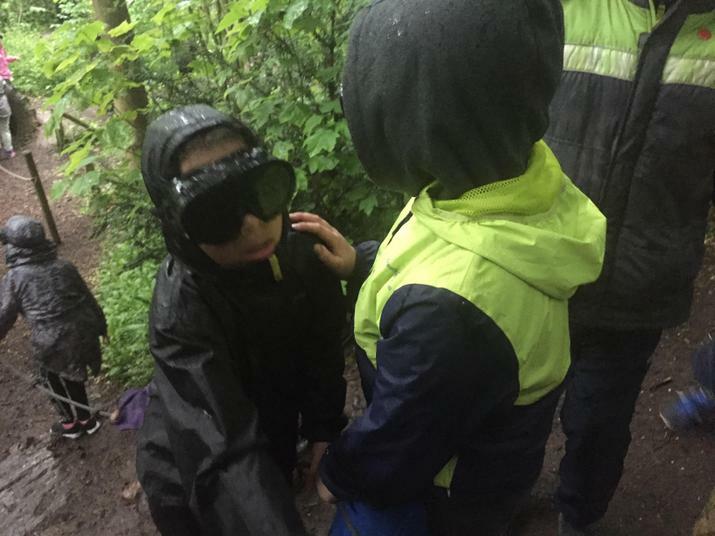 We then went on a treasure map in the pouring rain. 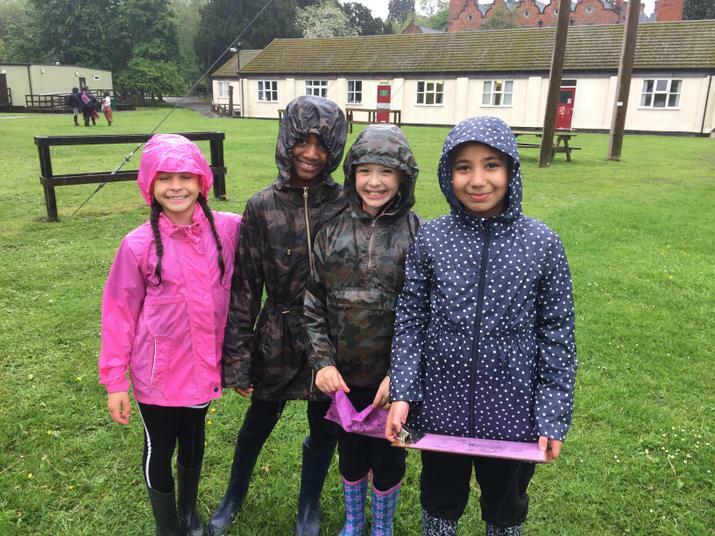 Fantastic perseverance from all children, who kept going regardless of the fact that it was so wet that our maps disintegrated! 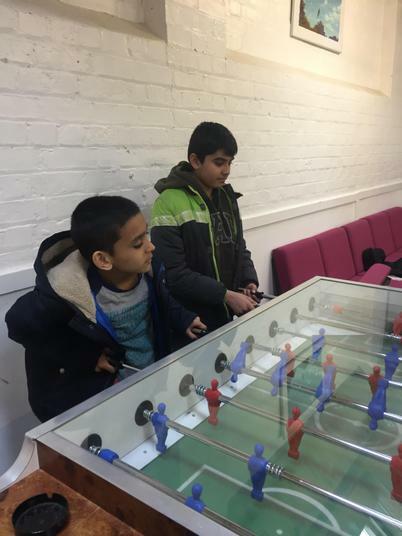 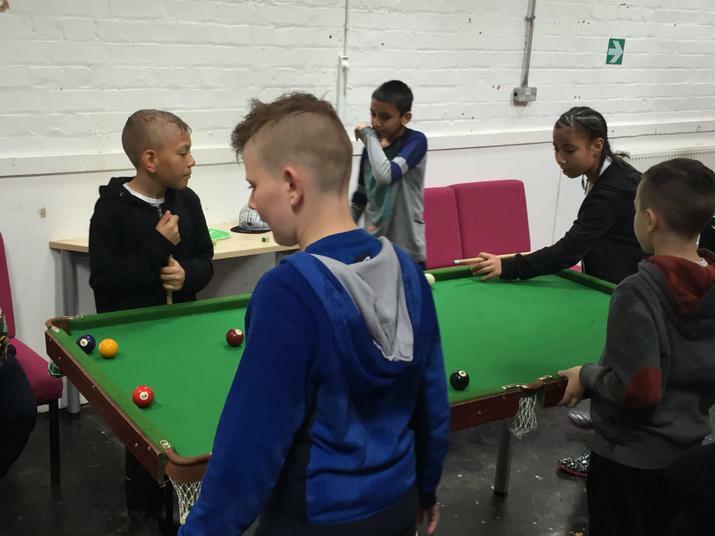 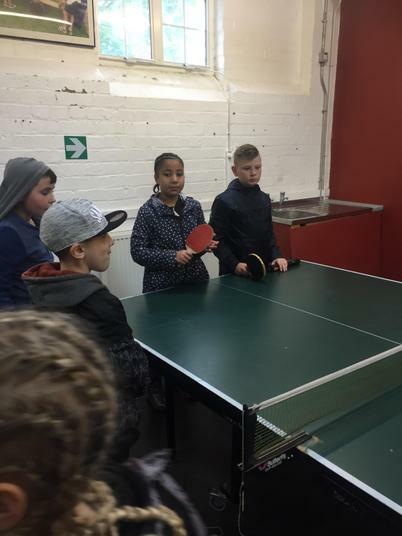 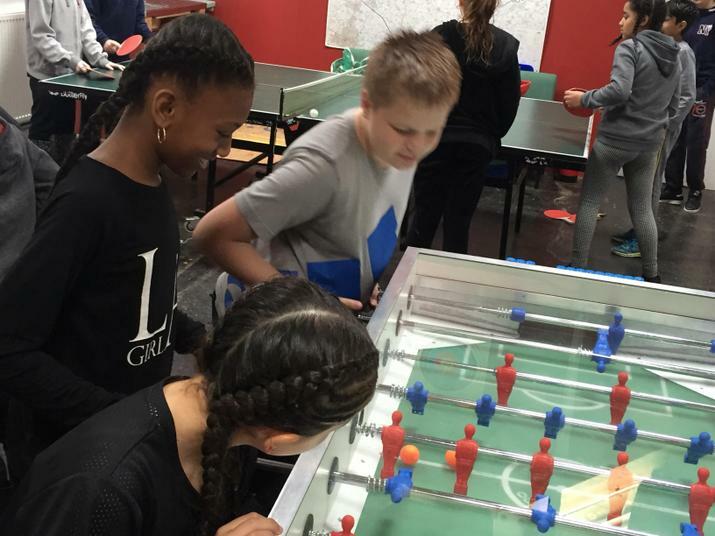 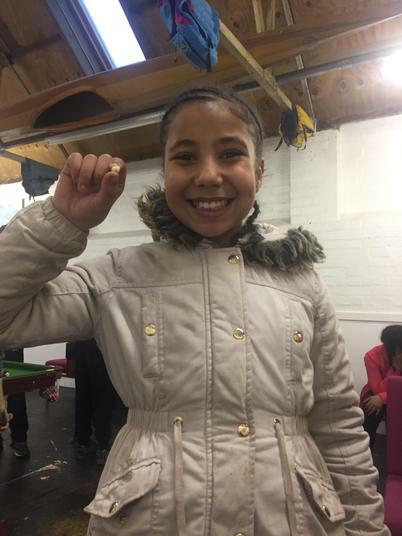 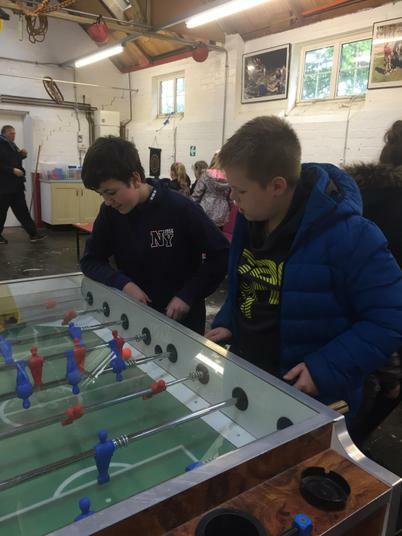 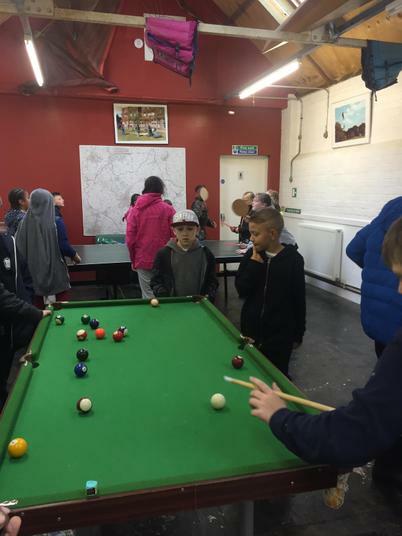 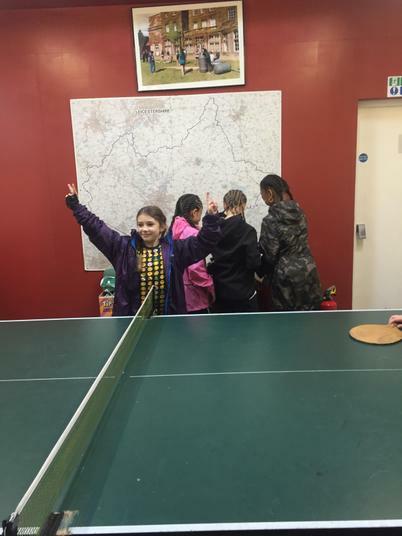 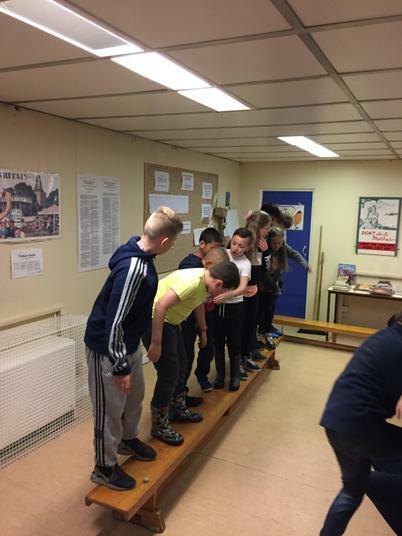 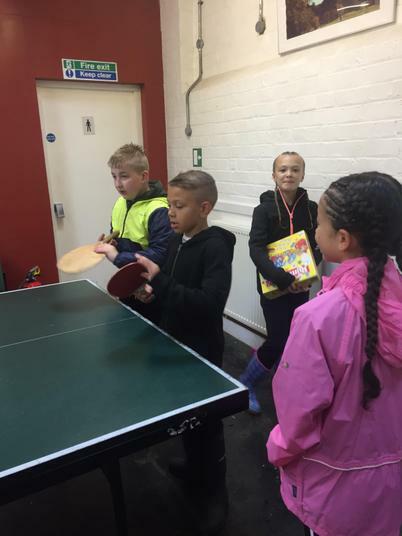 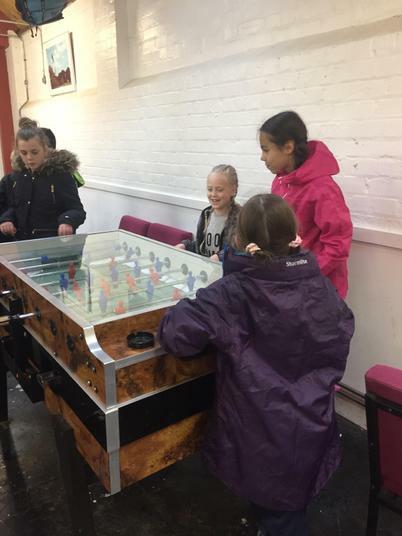 After we had a bit of 'chill time' in the games room playing pool, table tennis and on the football table. 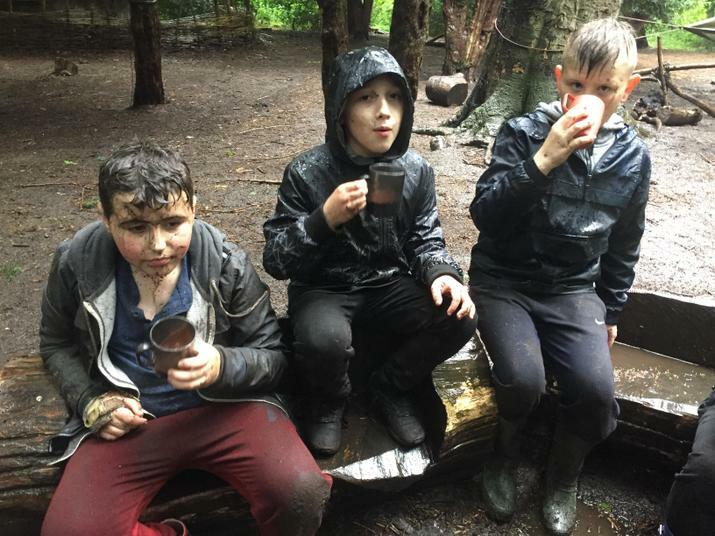 Some of us were happy to be somewhere dry to just talk to our mates. 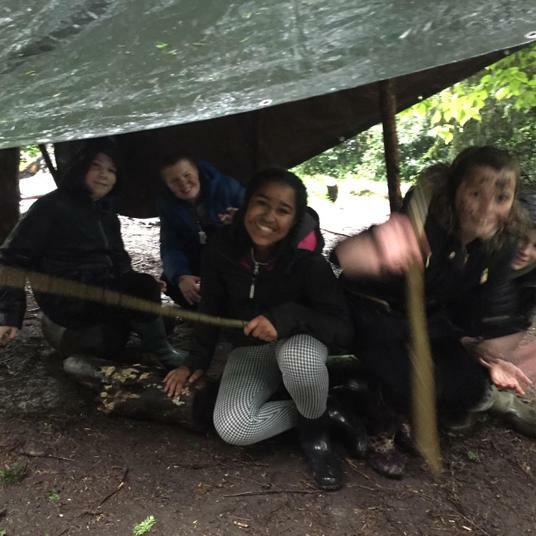 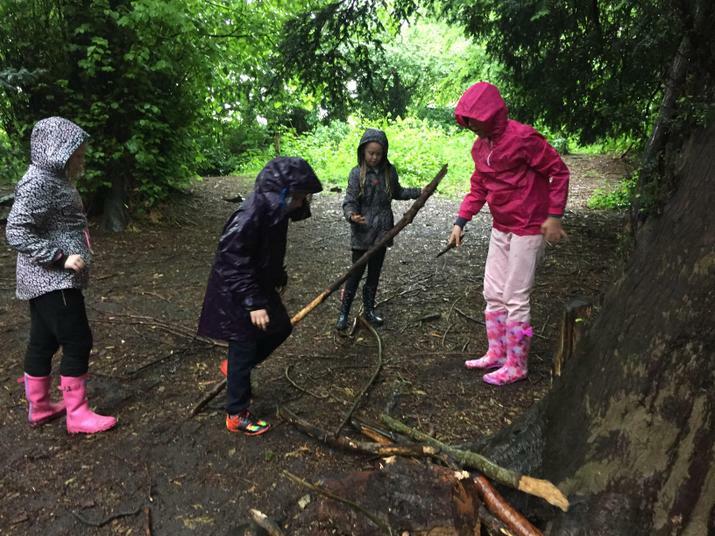 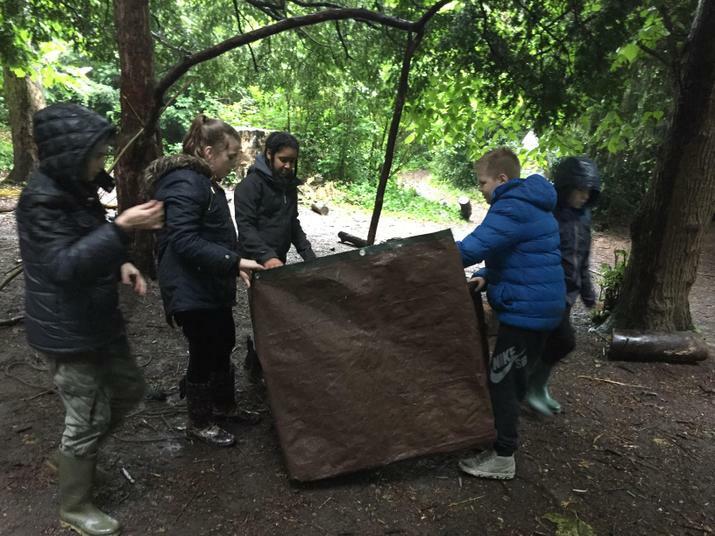 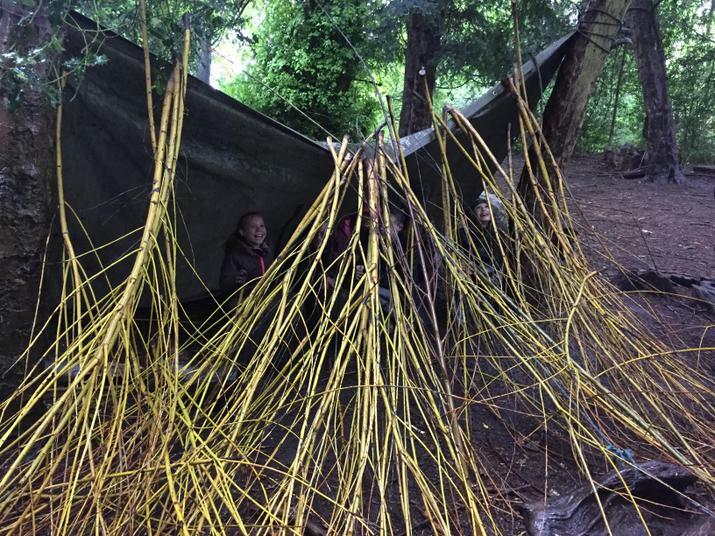 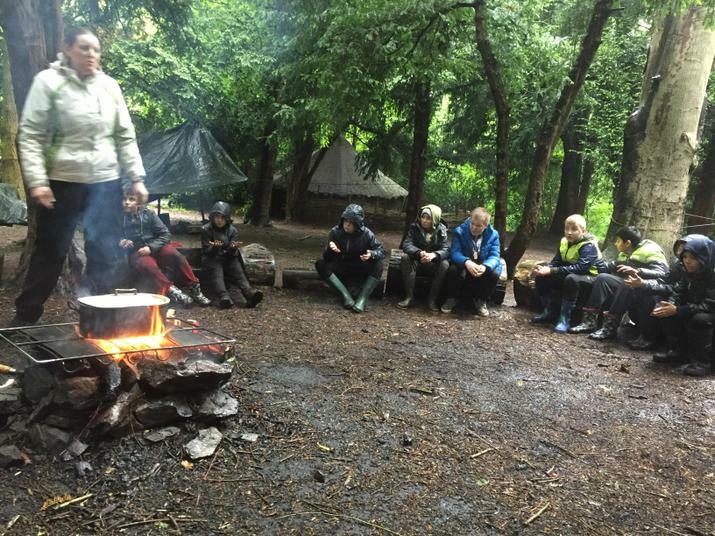 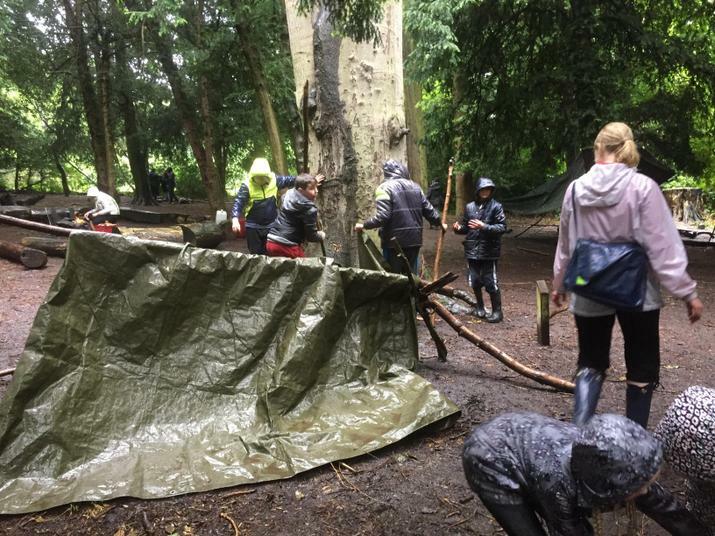 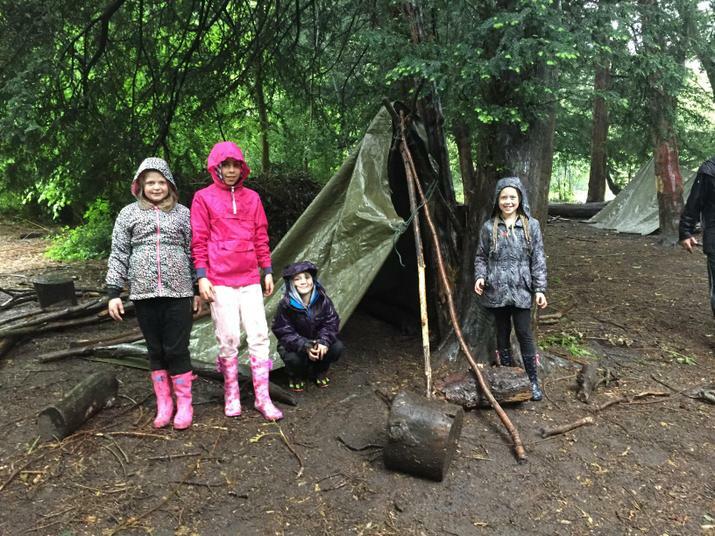 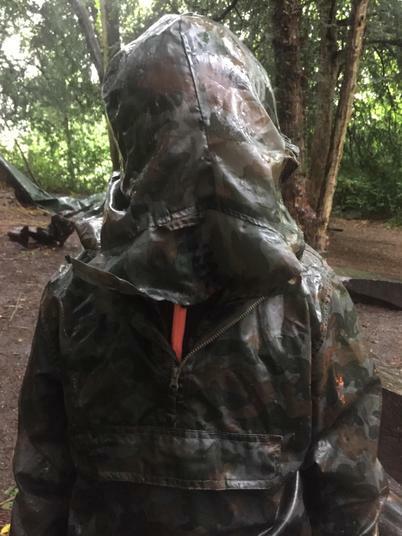 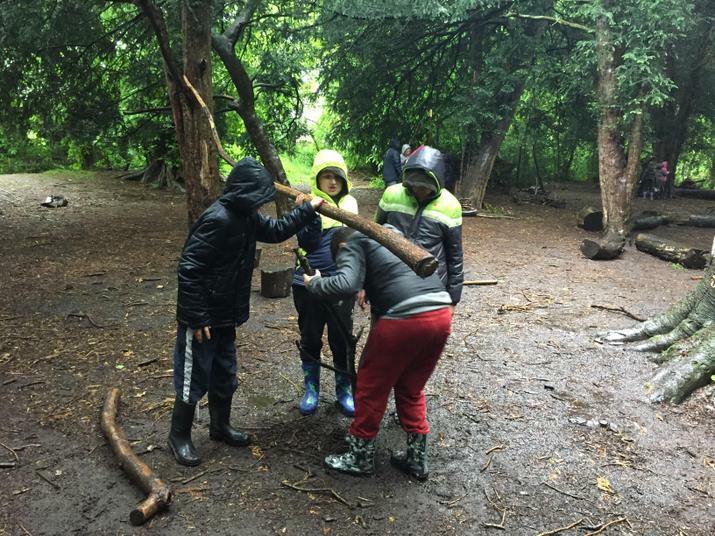 After lunch we went for a session called 'Survival', where we were in the woods and had to build a shelter that would keep us dry and warm! 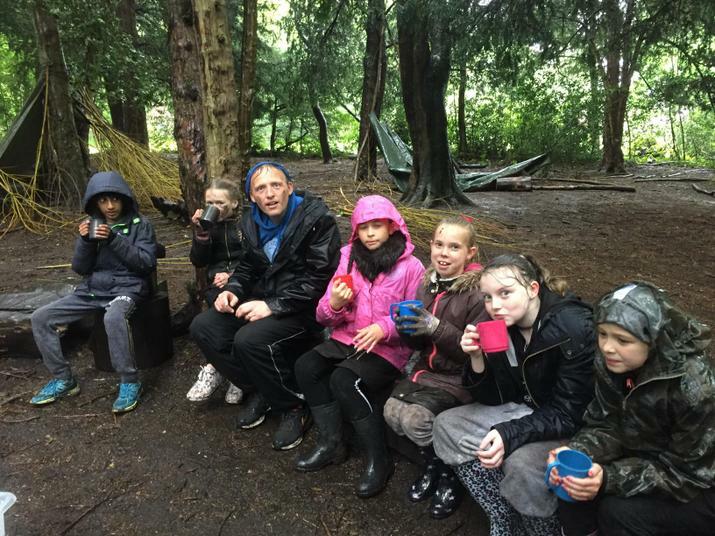 After we had built the shelter we had hot chocolate around the campfire. 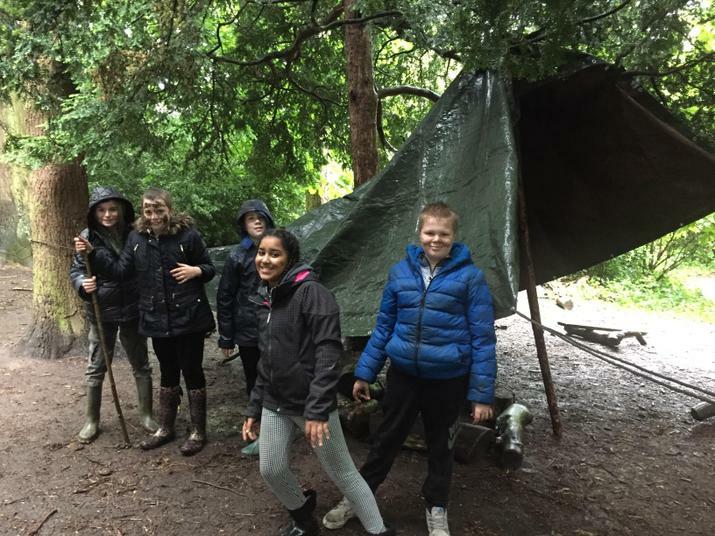 The shelter Brandon and team built fell apart literally as the time ran out so that didn't pass the test! 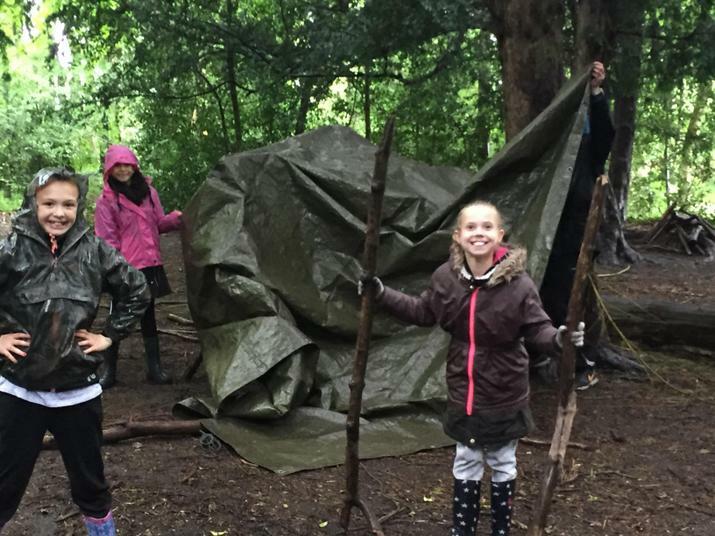 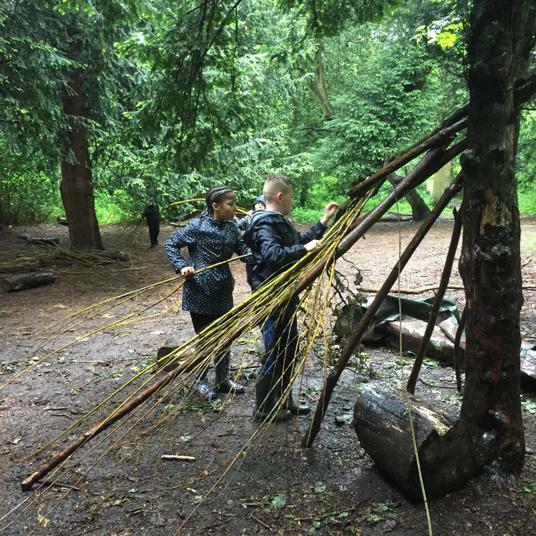 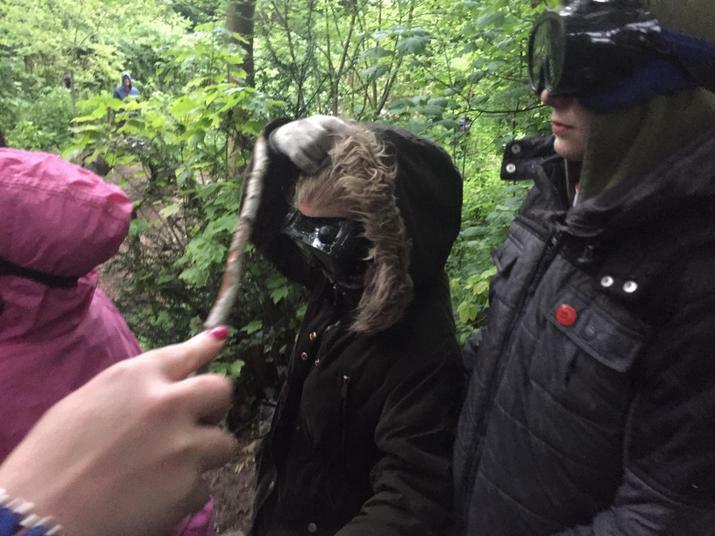 Dillon's and Rylie's teams won the challenge, having built the best shelters from the elements. 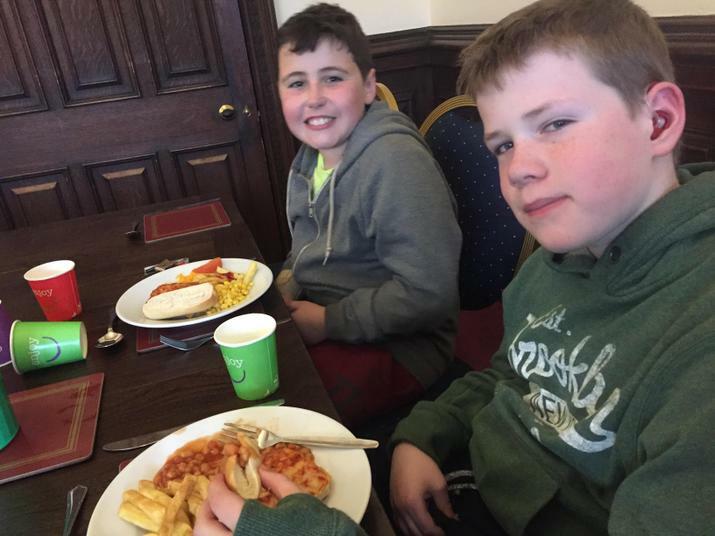 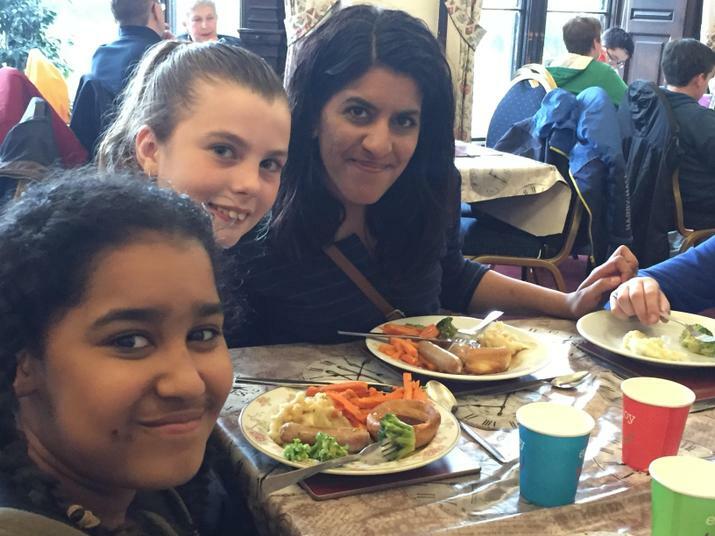 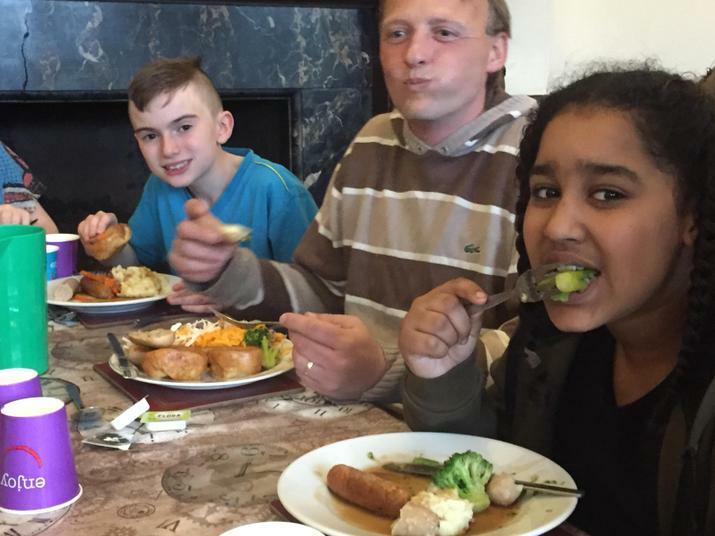 In the main hall, we have had our evening dinner (sausages, veg and mash -and a veggie option of course for those who needed it). 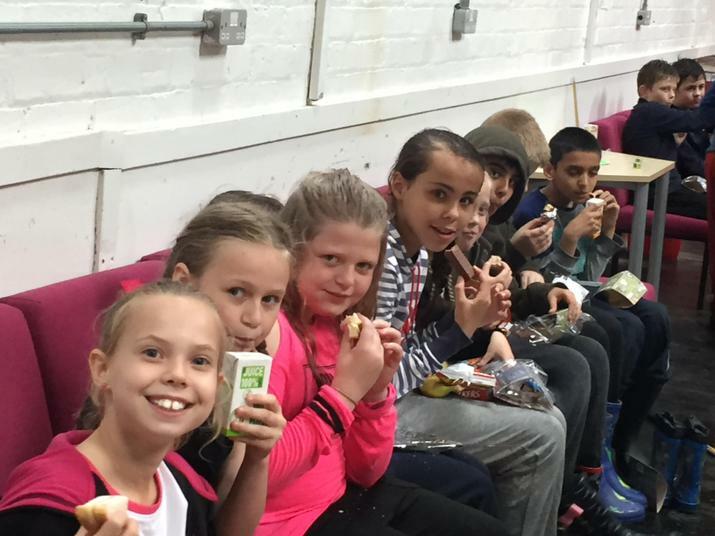 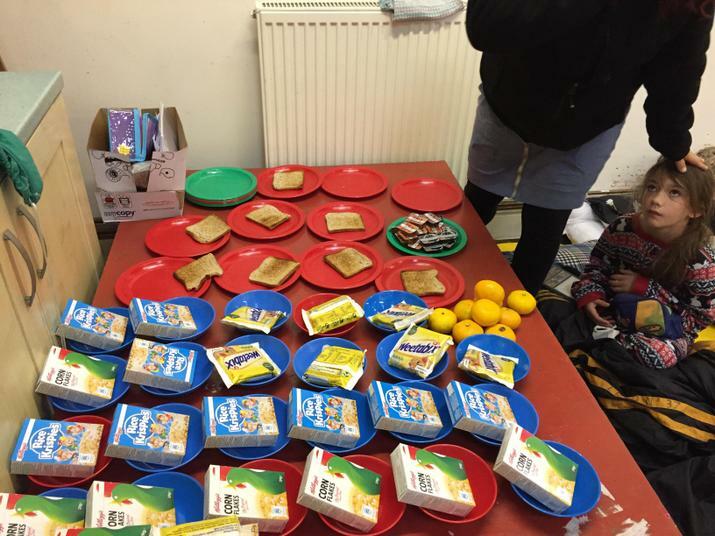 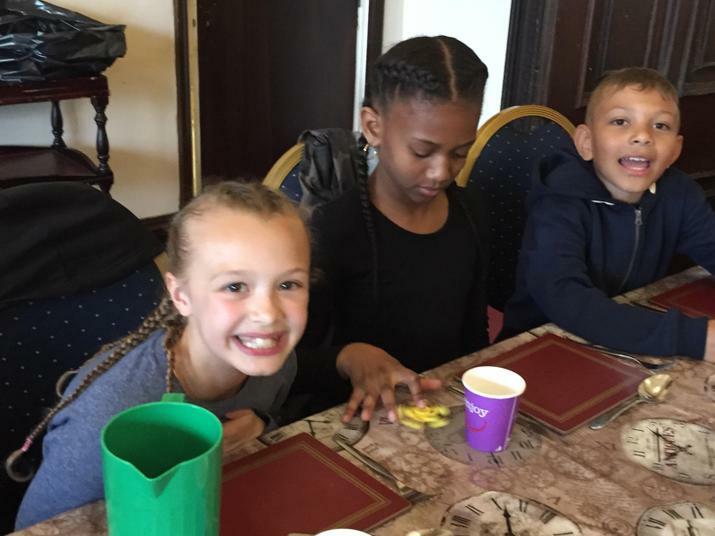 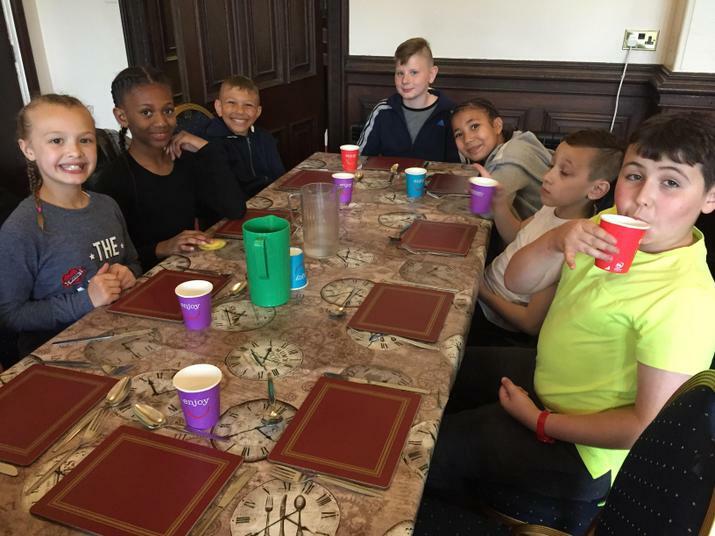 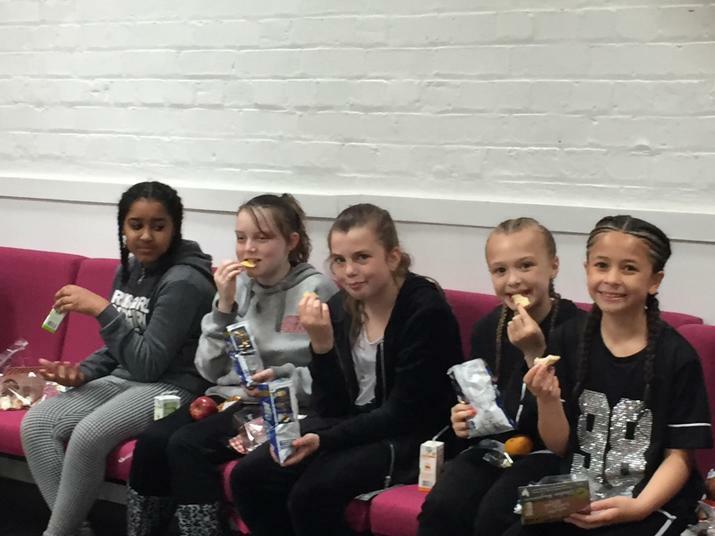 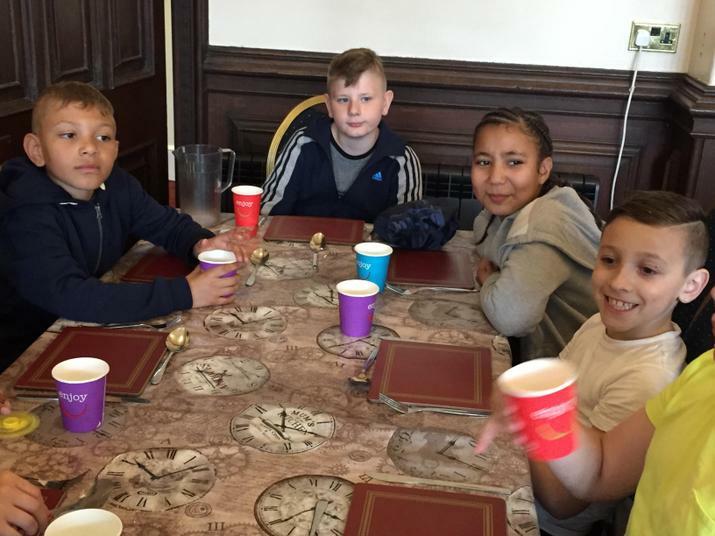 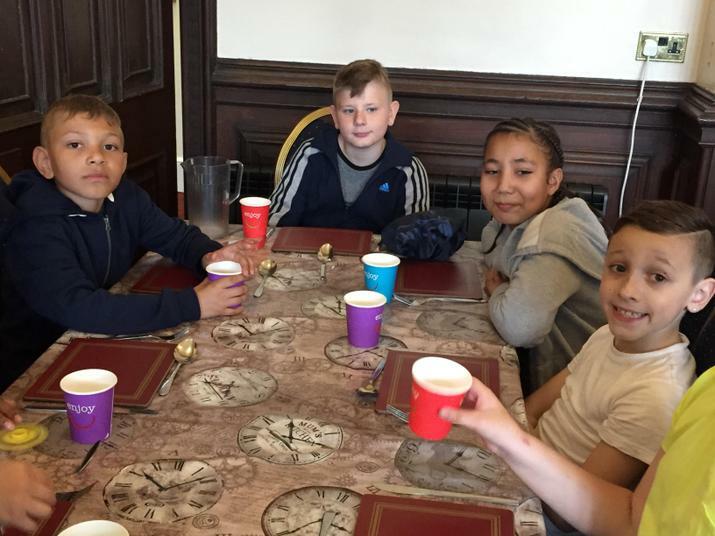 We've all eaten well- especially the chocolate cake that was for pudding! 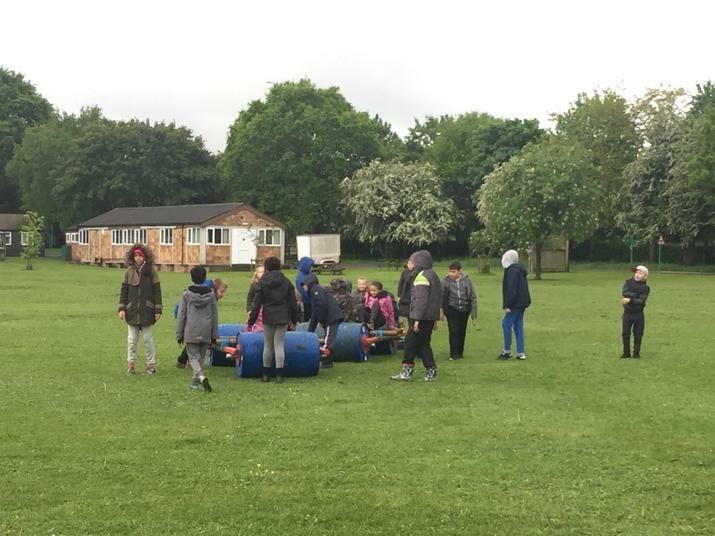 We were meant to have another campfire session this evening, but it's been far too wet so Mrs Kazi signed us up for team games instead. 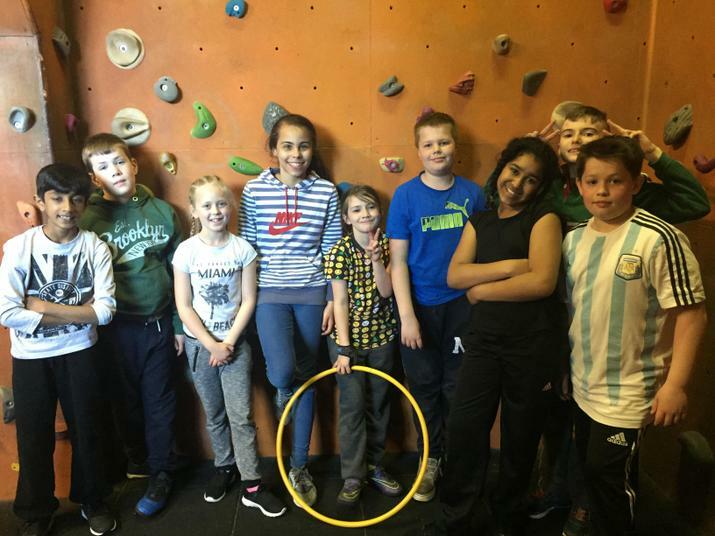 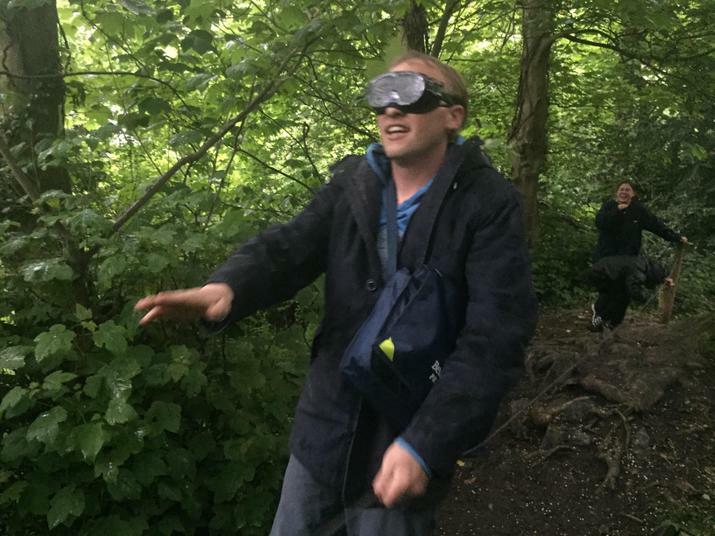 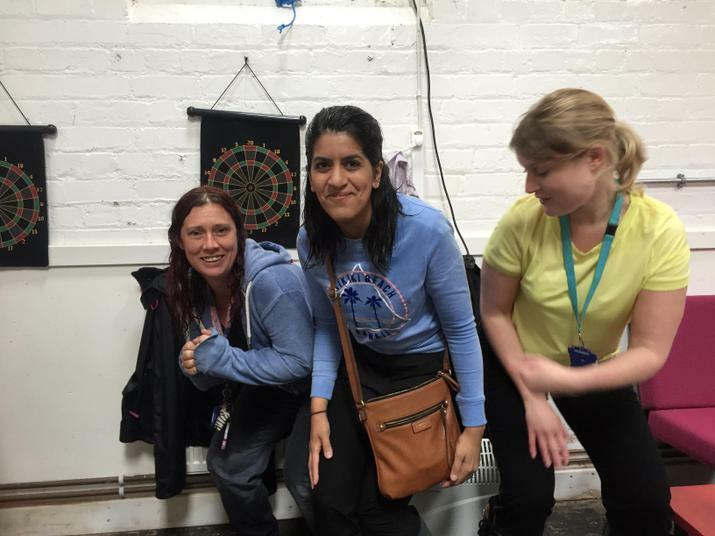 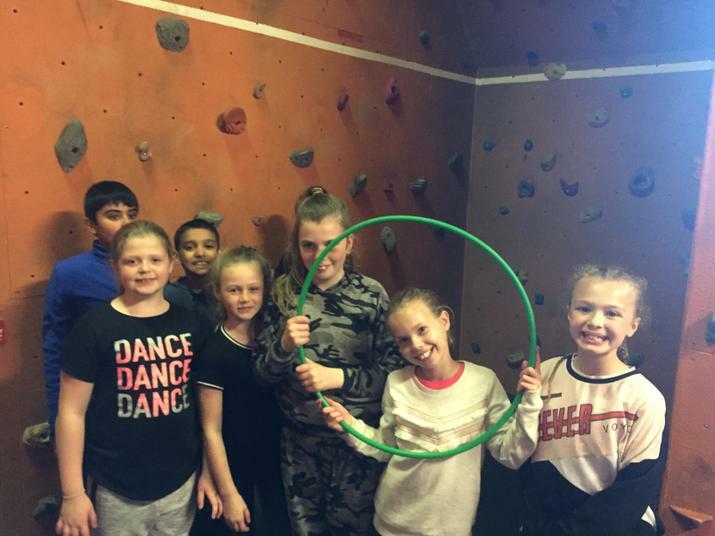 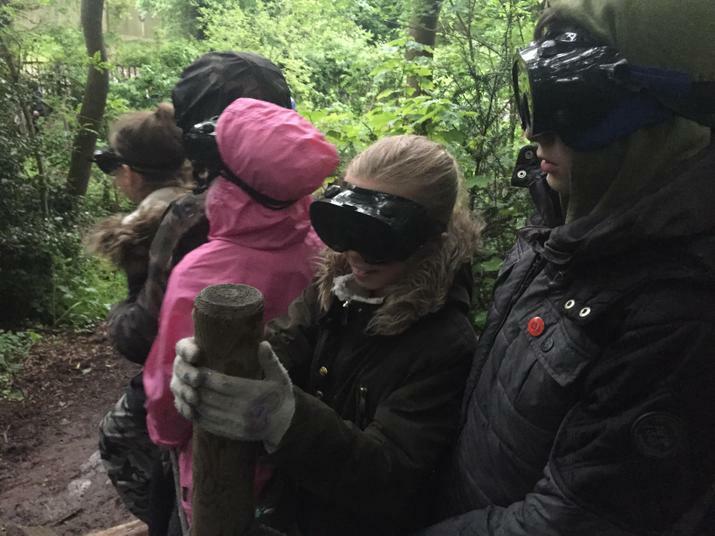 The teachers were team 'Away with the fairies', and annoyingly, they were in the lead as we started the competitive challenges. 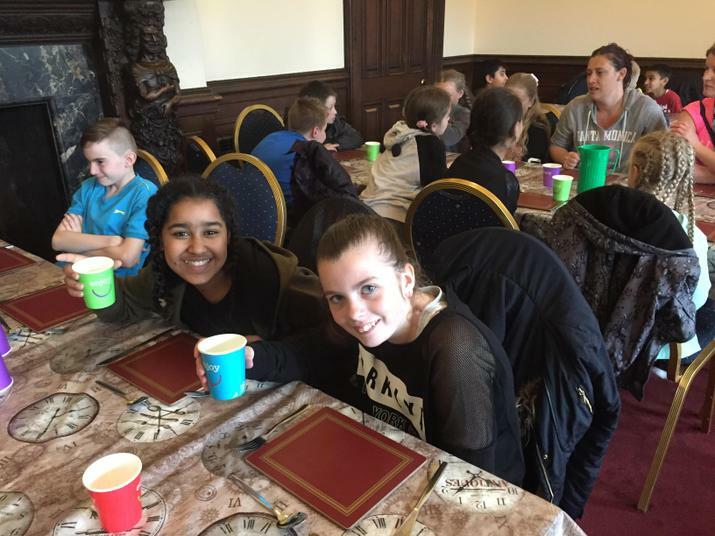 Just having hot chocolate before we snuggle down for bed time! 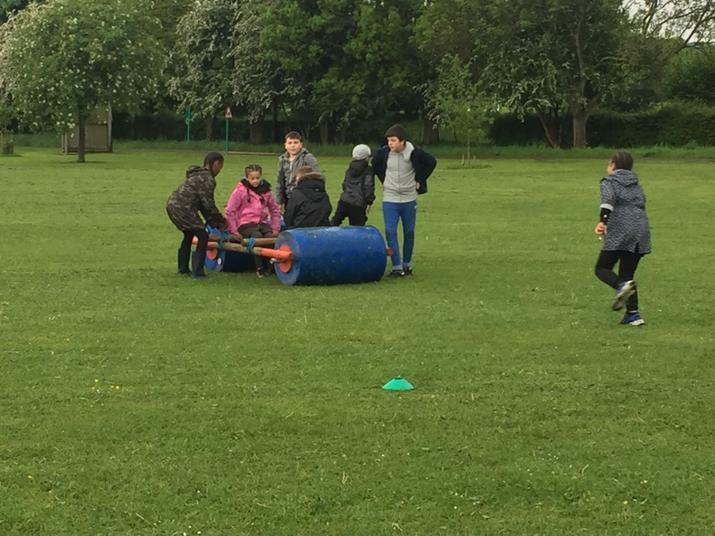 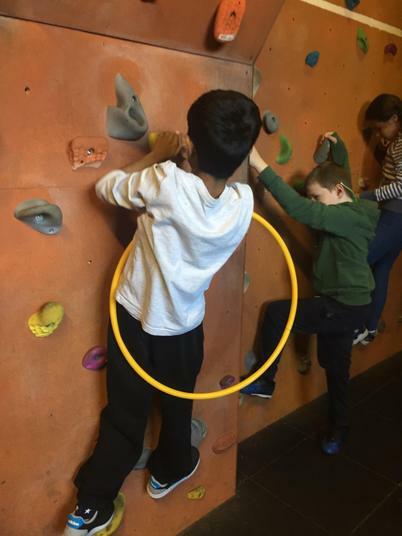 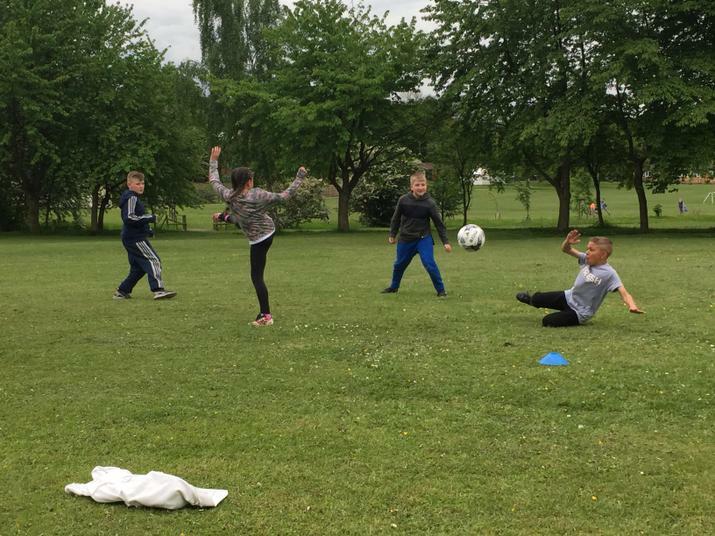 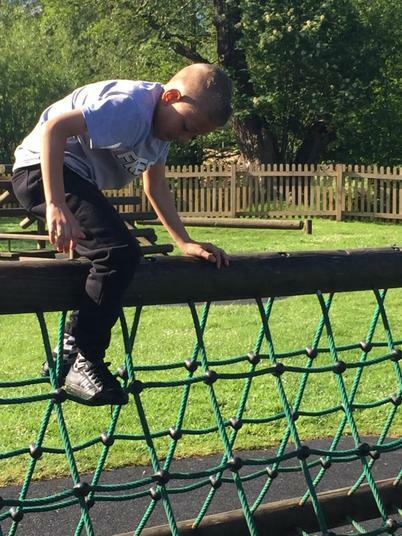 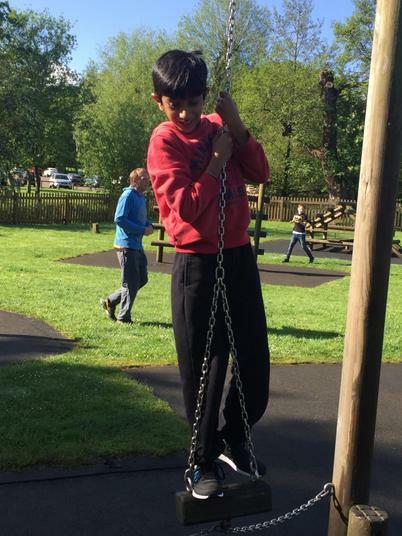 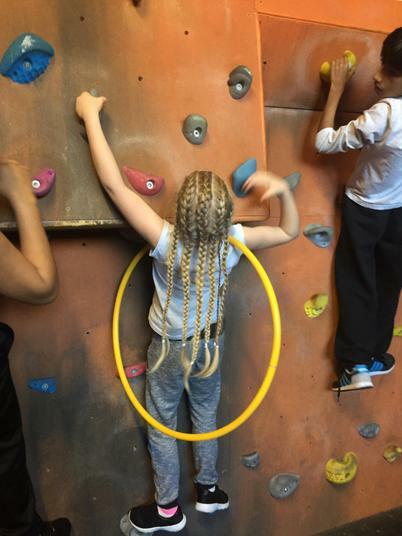 Below are some pictures from today - We'll keep trying to update you, but don't worry parents - We're having fun!